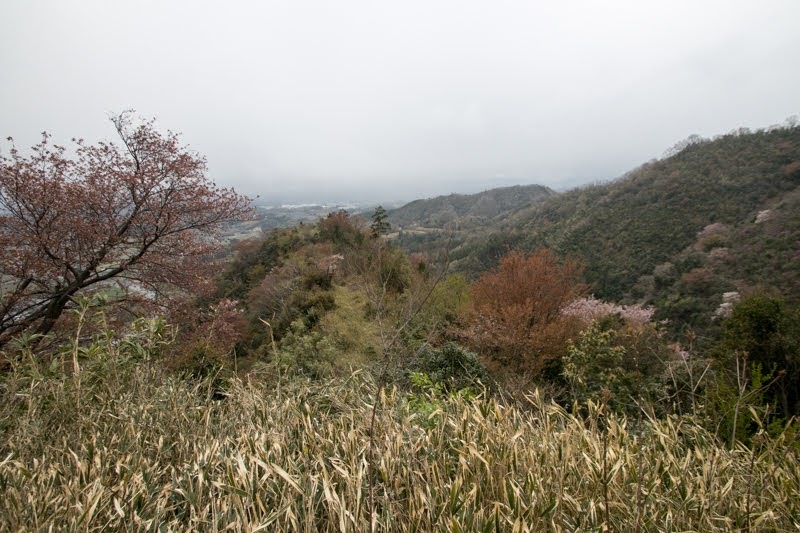 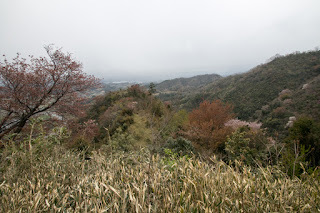 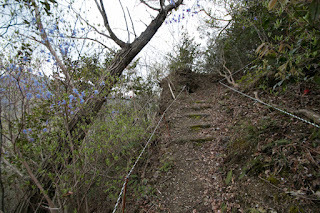 Iouyama castle (医王山城、岩尾山城) is built over a long and narrow ridge of Iouyama mountain, one of about 150 meter height from hillside in the northeastern part of current Tsuyama city. 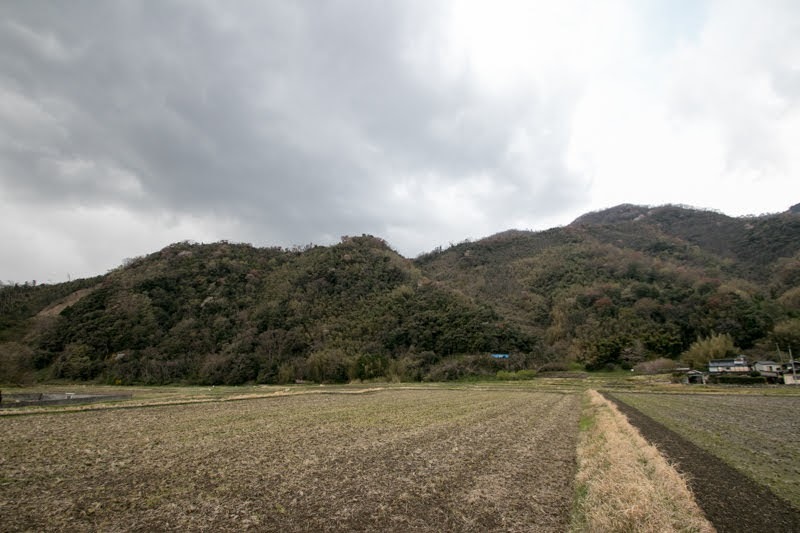 Iouyama mountain is an edge of Chugoku mountains directly faces Tsuyama basin, and have a wide view of eastern half of the basin. 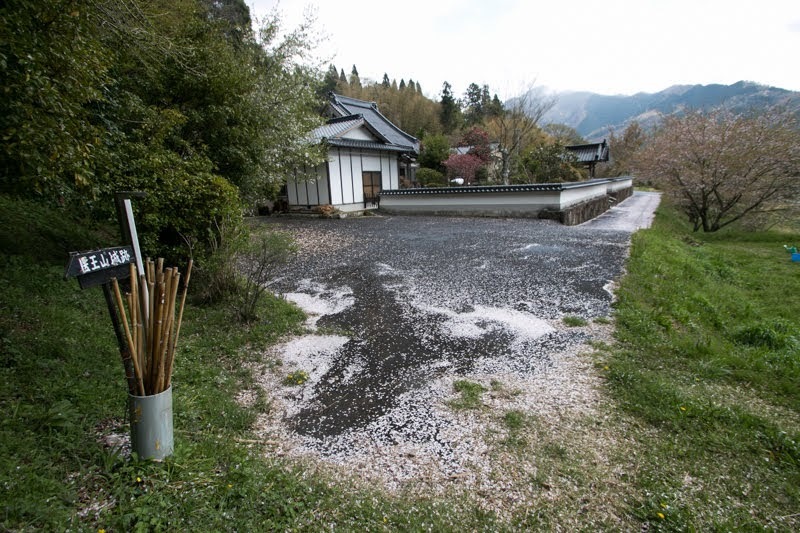 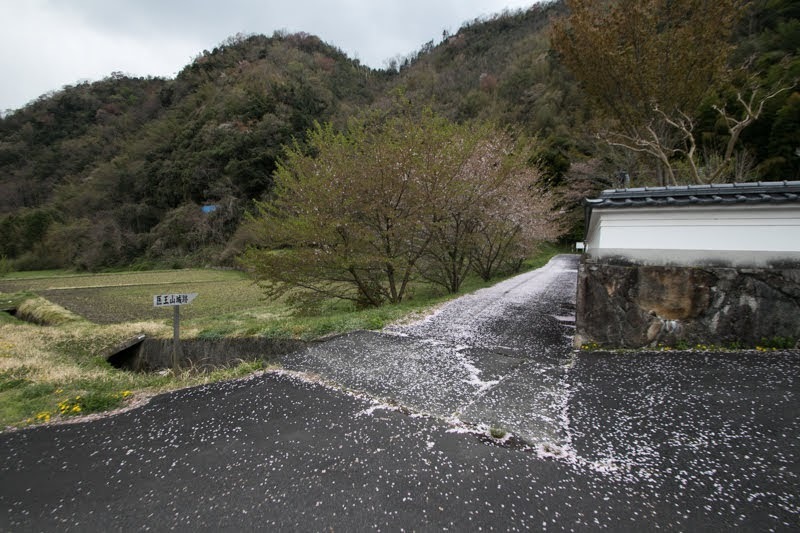 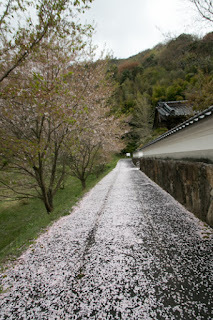 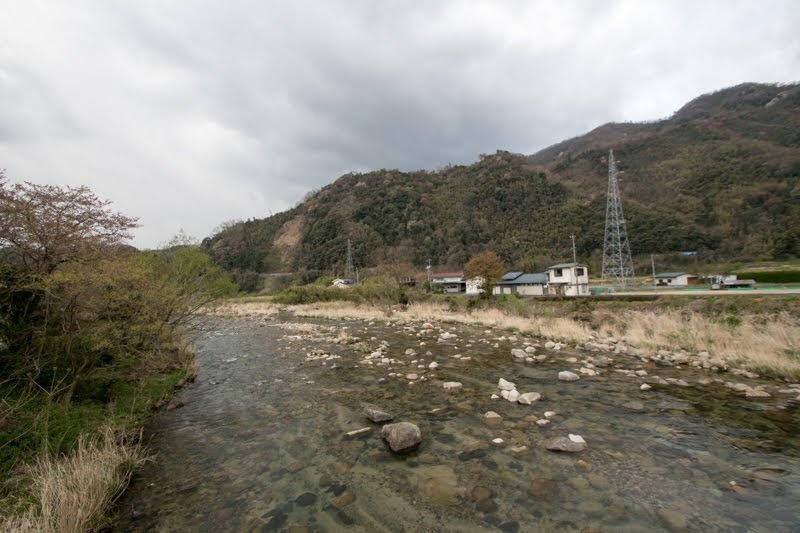 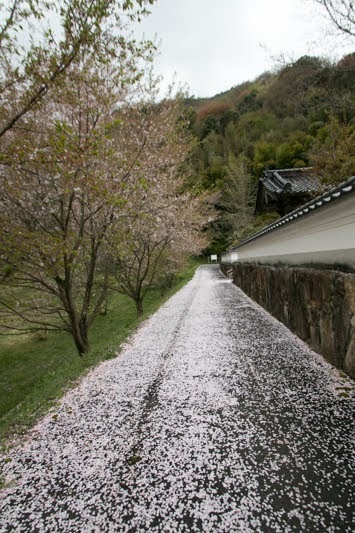 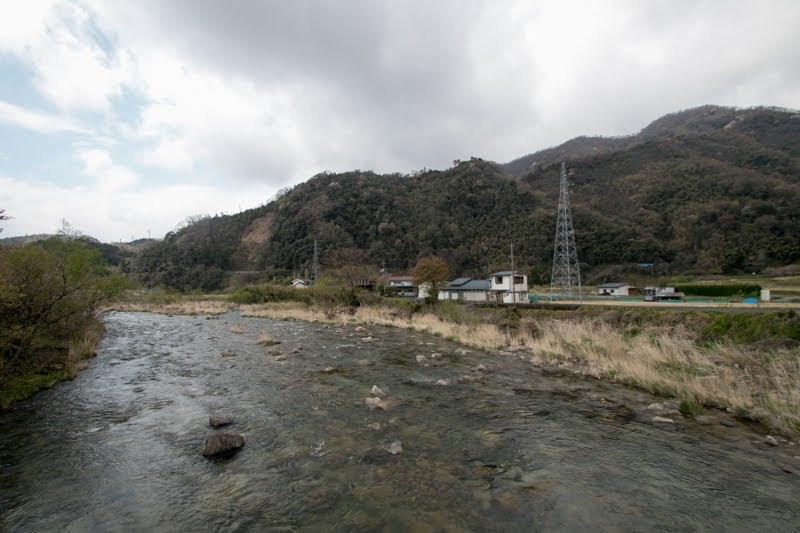 Place of the castle exists at the end of narrow valley formed by Kamo-gawa river, one of tributaries of Yoshii-gawa river. 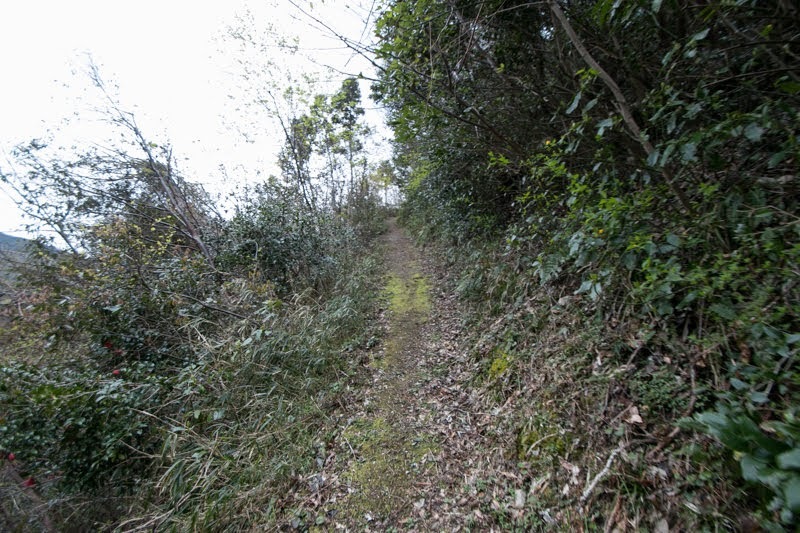 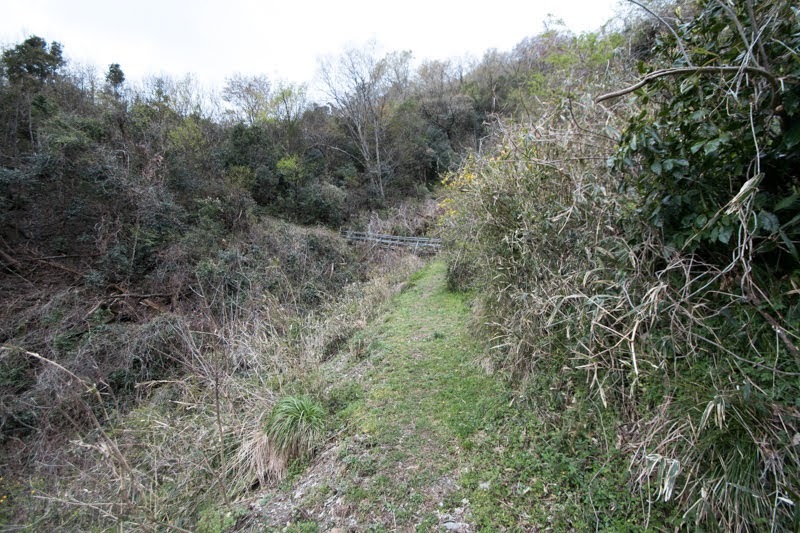 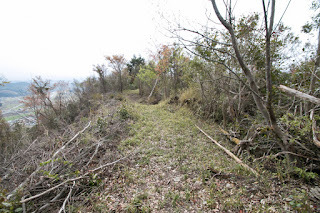 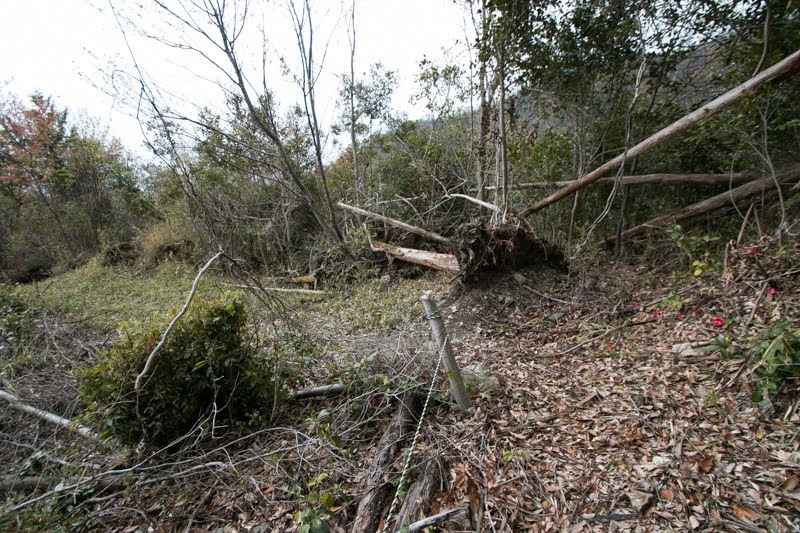 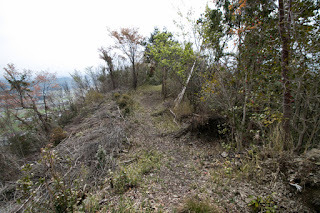 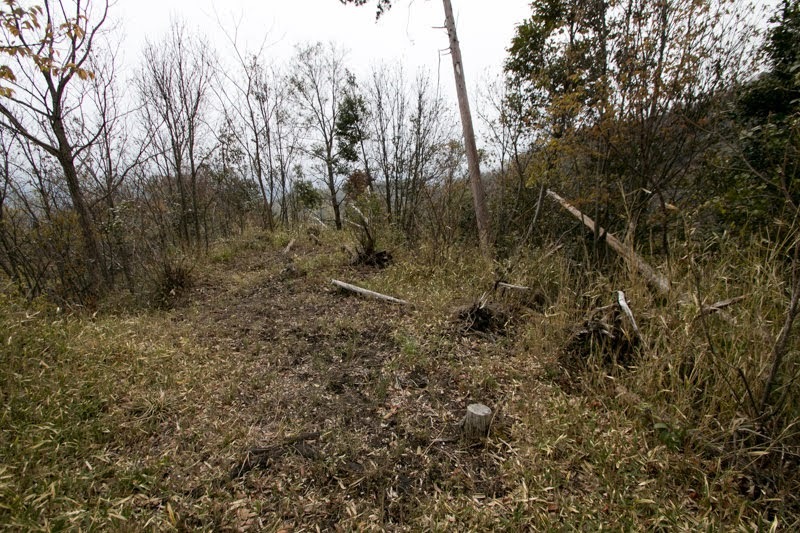 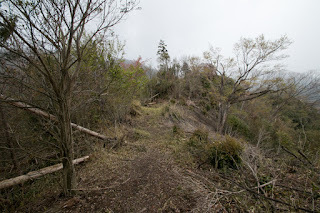 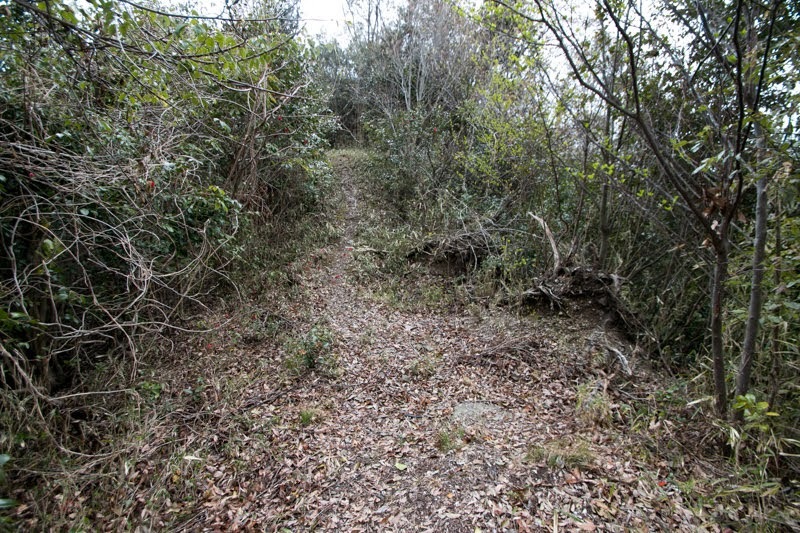 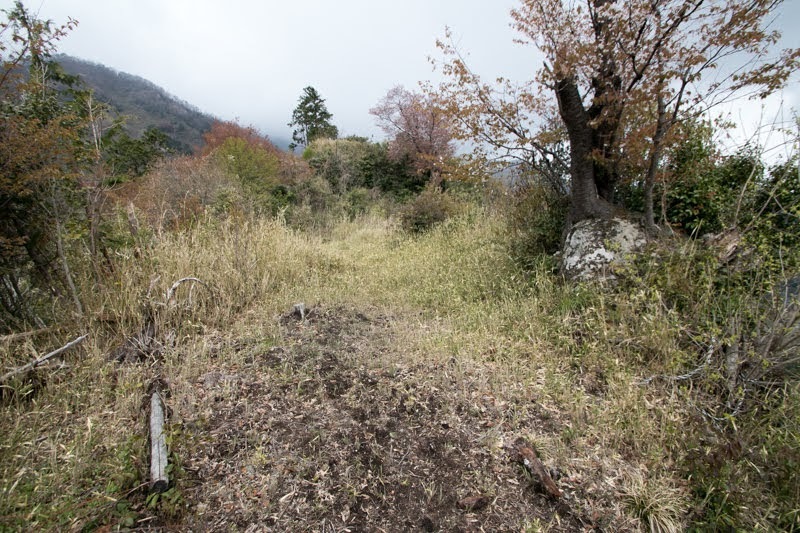 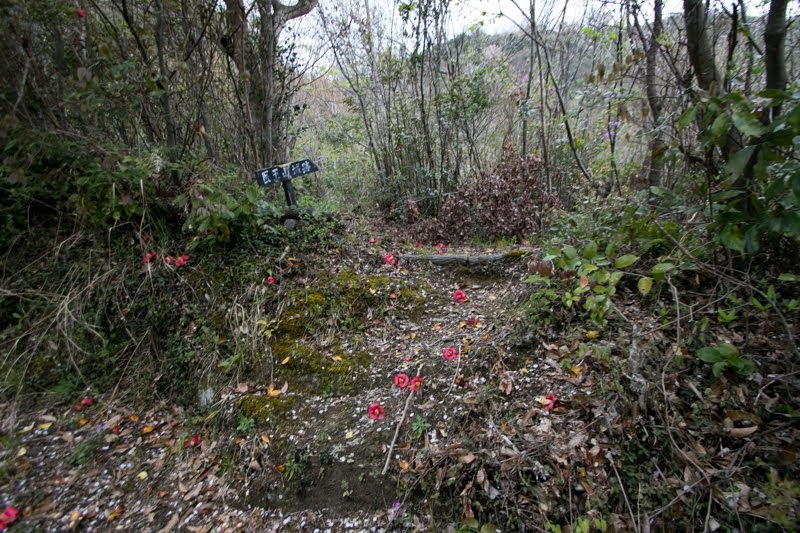 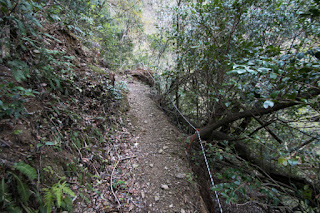 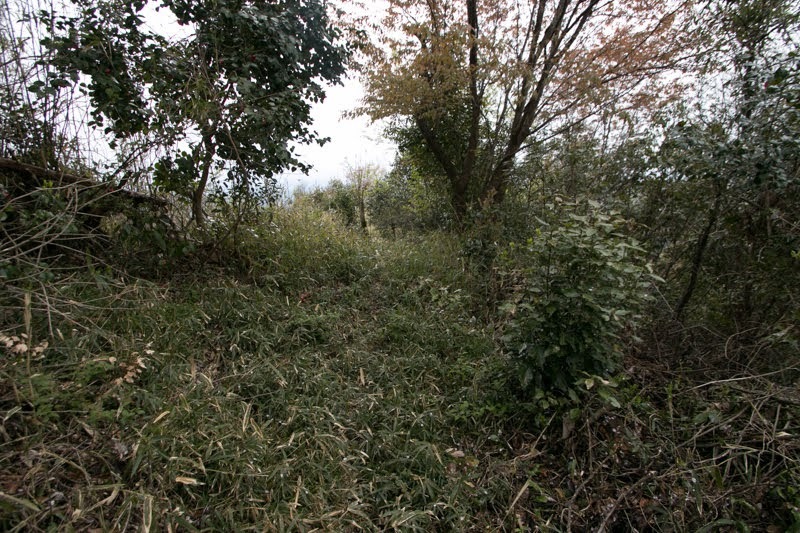 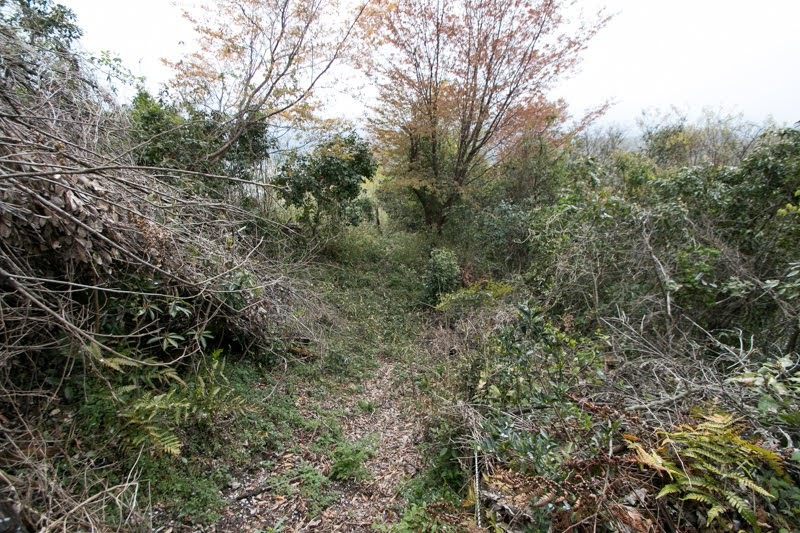 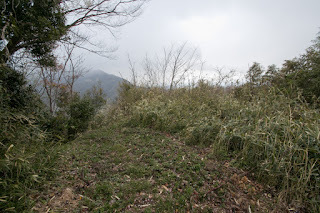 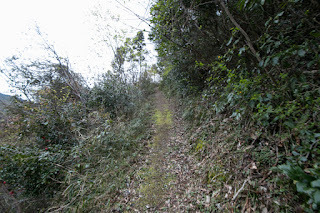 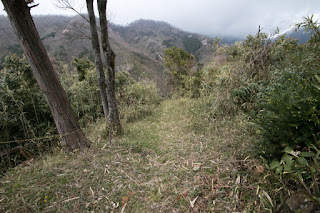 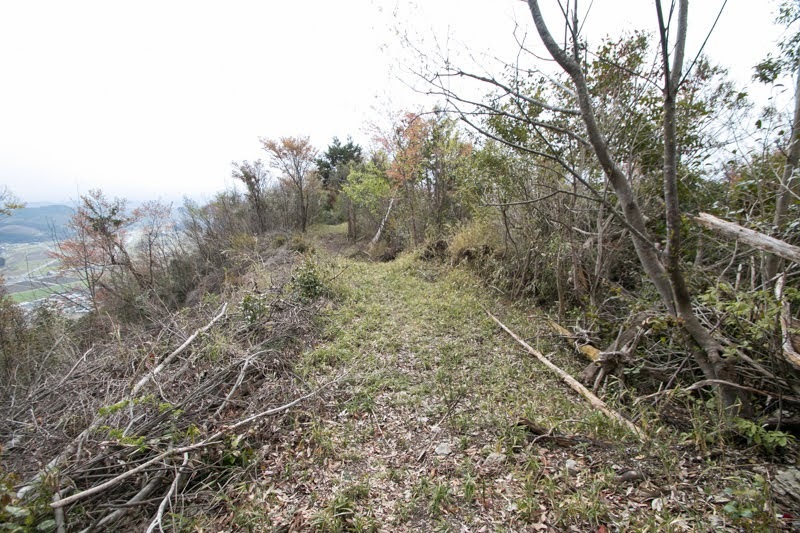 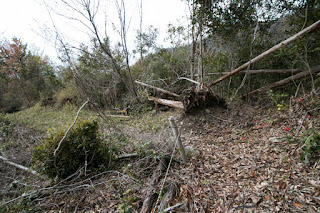 This valley had been used as a road toward Tottori area passing Monomi-toge pass or Happon-goe pass, and even now is a route of Inbi-sen line. 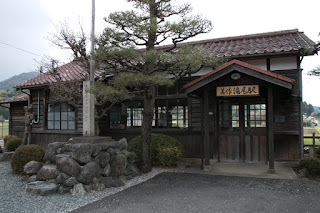 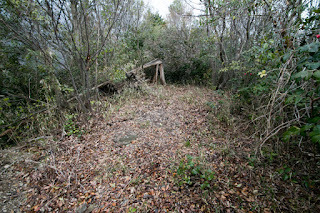 Near the castle Mimasaka-Takio station which is famous for its nostalgic wooden building remains. 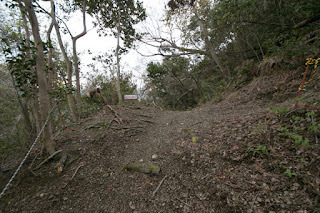 The origin of Iouyama castle is not clear but it might be built by 15th century, when Mitsukiyo Yamana (?-?) who became the governor of Mimasaka province (north part of Okayama prefecture) and Iwami province (western part of Shimane prefecture) placed his relative Tadashige Yamana (?-?) 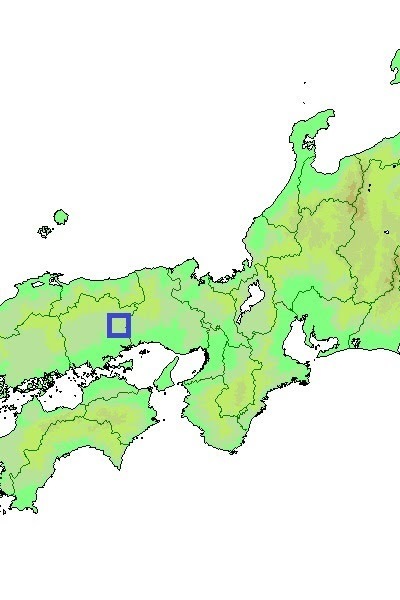 in 1441. About 30 years later Yamana clan lost Mimasaka province and Akamatsu clan which was a former governor of Mimasaka province returned to the position, and Iouyama castle might belong to Akamatsu clan. 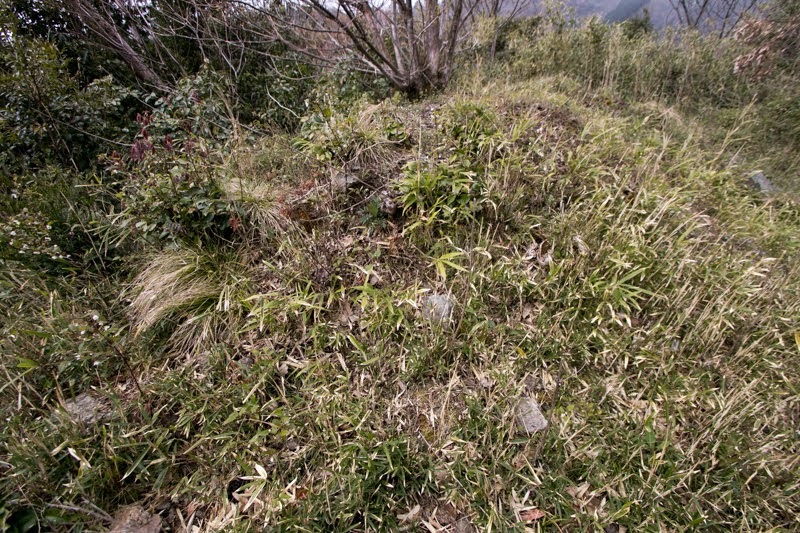 But the governance of Akamatsu clan was weak, and local lords continued fierce battle including Iouyama castle. 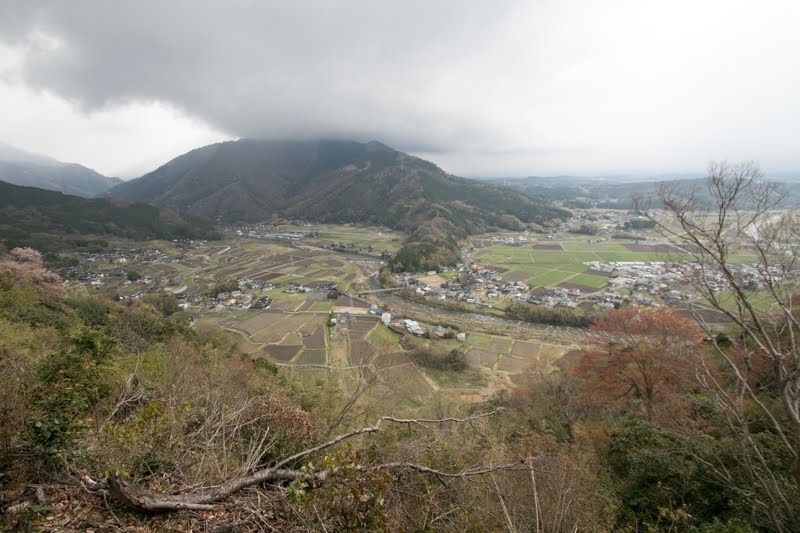 In 1544, Amago clan which was a strong warlord of Izumo province (eastern part of Shimane prefecture) intruded into Mimasaka province from westward. Iouyama castle was protected by the army of Uragami clan, the deputy governor of Akamatsu clan, but Amago army fell Iouyama castle and used it as their local base, looking at its security and location to manage various roads. 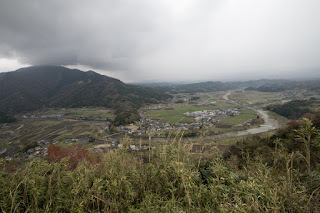 The reign of Amago clan continued over 10 years, but as the conflict of Amago clan and Mouri clan became severer, Amago clan had to retreat from east part of Sanyo region, then Mimasaka province returned to a nominal territory of Akamatsu clan. 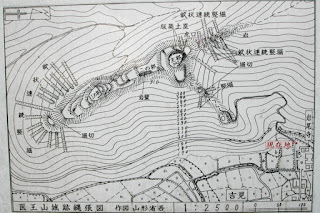 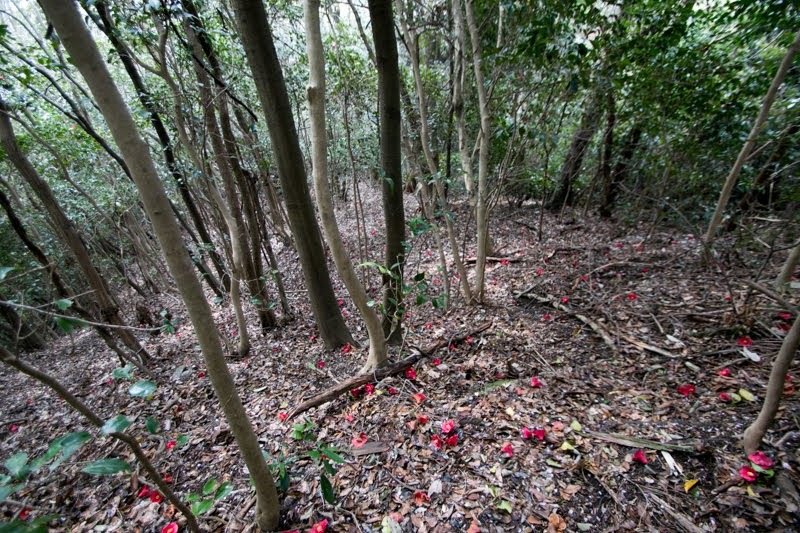 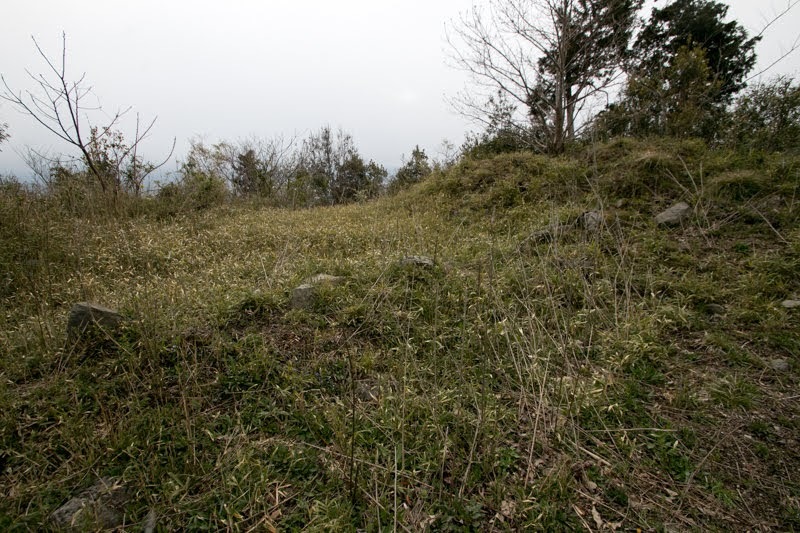 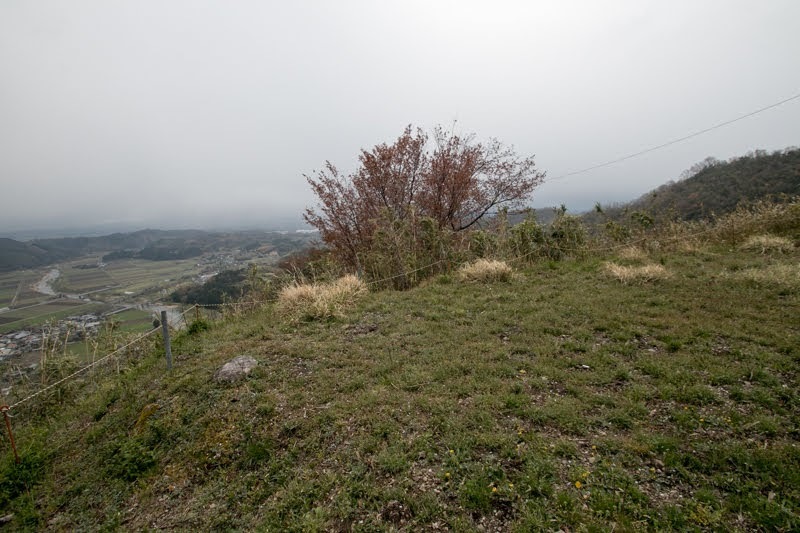 Several battles occurred for Iouyama castle at period were recorded. 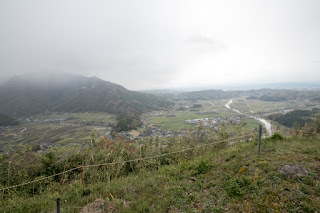 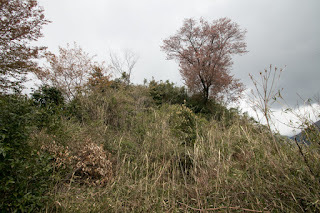 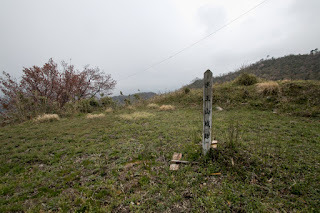 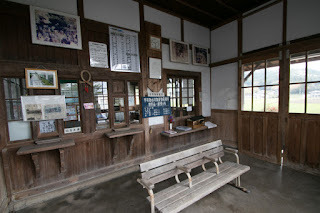 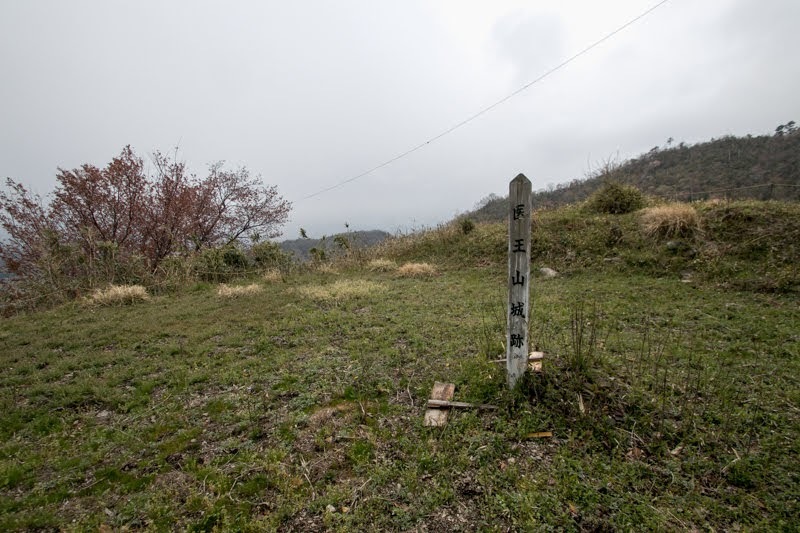 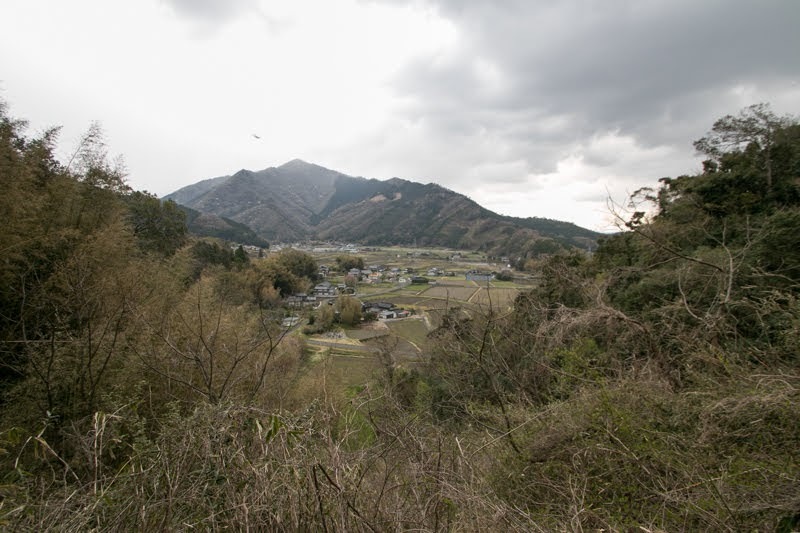 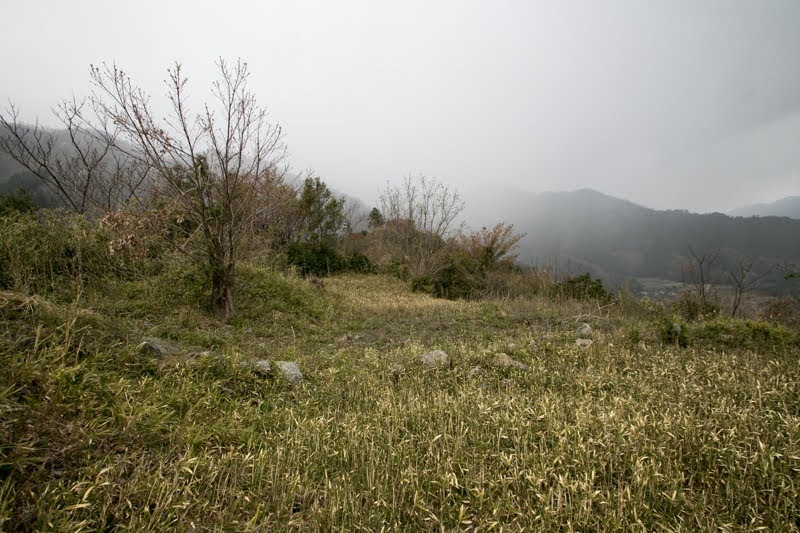 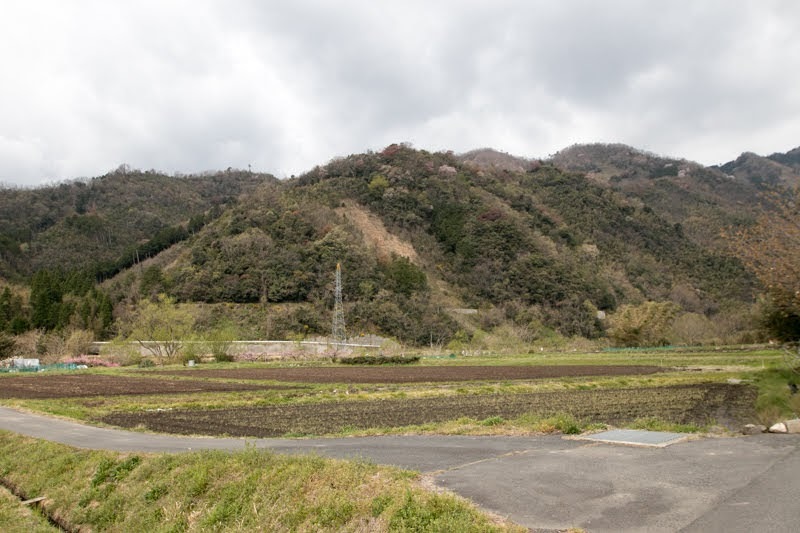 Around 1570, eastern part of Mimasaka province was once captured by Goto clan, which was the lord of Mitsuboshi castle connected to Mouri clan. 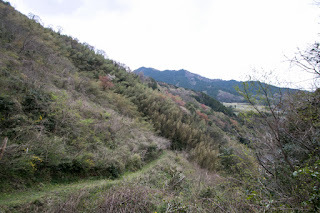 However, around this period at Bizen province at the south of Mimasaka province, Naoie Ukita (1529-1582) who grew from small local lord expelled his master Uragami clan and became the lord of Bizen province. 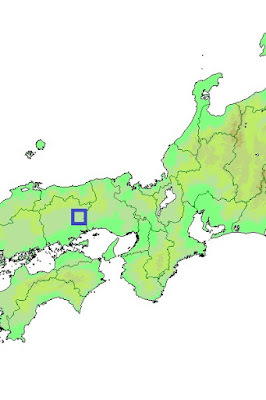 In 1575, Naoie Ukita subordinated to Mouri clan and intruded into Mimasaka province under the support of Mouri clan. 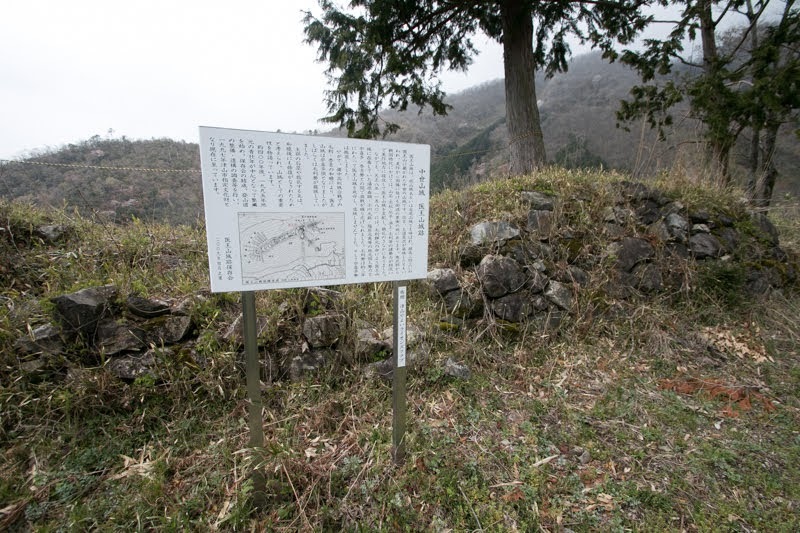 Goto clan supported Uragami clan and strongly resisted against Ukita clan ,but finally Ukita army captured Mitsuboshi castle and ruined Goto clan in 1579. However, in this year Naoie Ukita left Mouti clan and turned to Hideyoshi Hashiba (1537-1598, later Hideyoshi Toyotomi) who was the regional commander of central ruler Nobunaga Oda (1534-1598). Furious Mouri clan captured Iwaya castle (Okayama prefecture) and Iouyama castle, to keep strategic depth against Oda clan. Iouyama castle might be renovated under Mouri clan at this time. 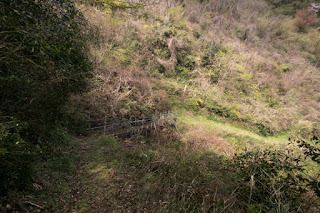 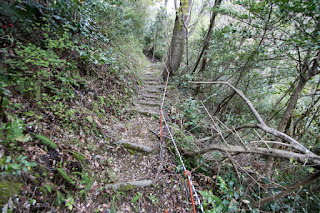 As Iouyama mountain is a long and narrow ridge has sheer slopes at both side, the structure of Iouyama castle is quite simple spreading in straight line. 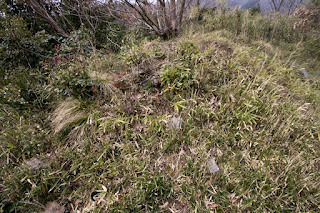 Central area of the castle is a square area of 20 meter long, which has a gate with stone walls at its northwestern corner. 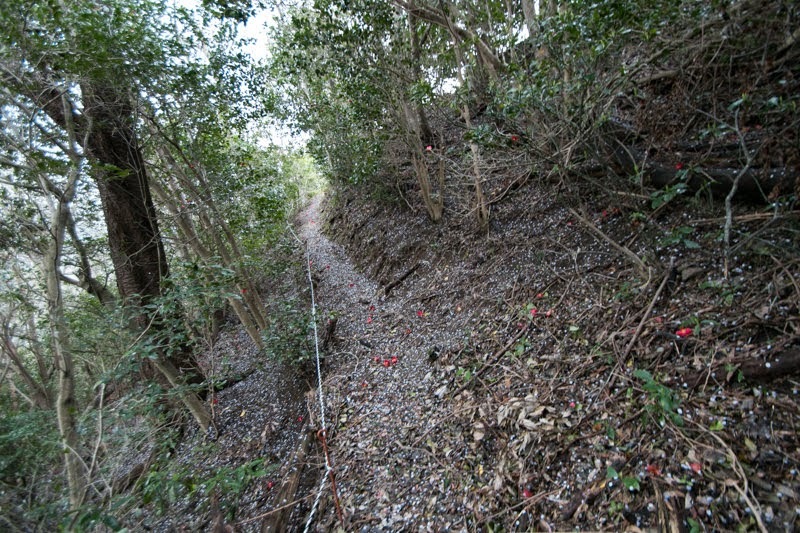 Its northern line is a broad clay wall which might be a basement of main building. 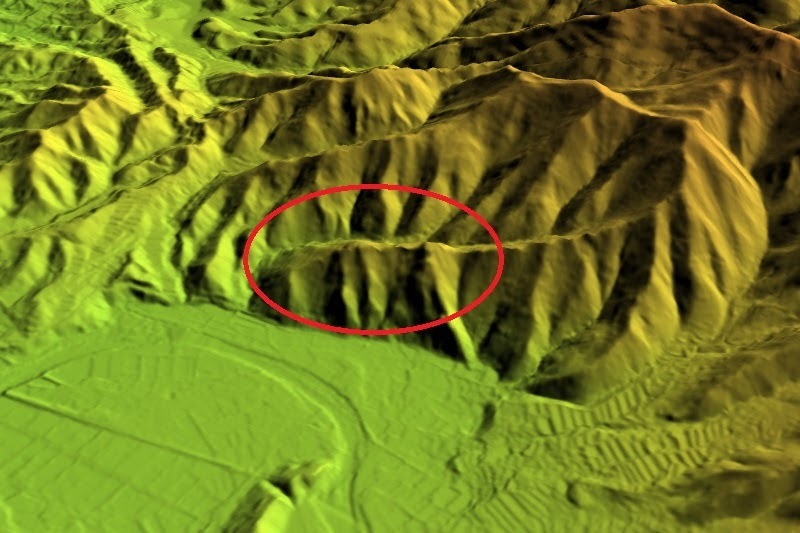 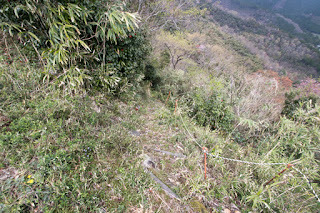 Toward south from central area, secondary area and third area spread along with the ridge of the mountain. 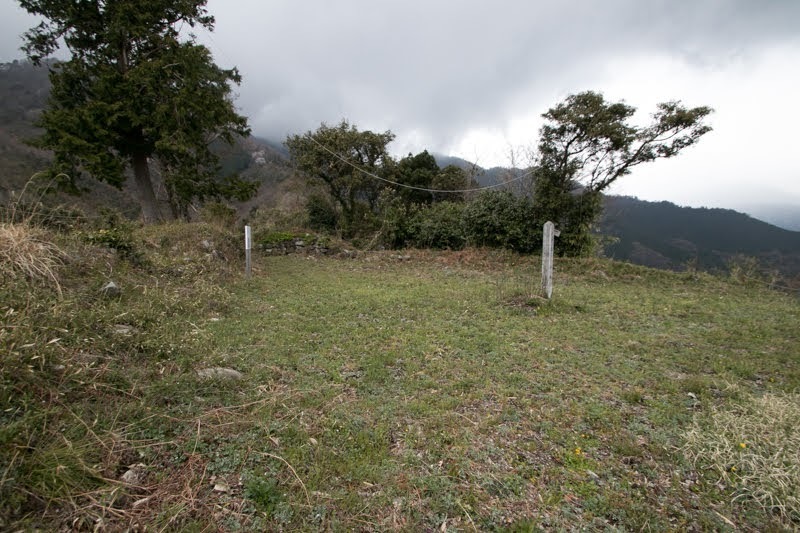 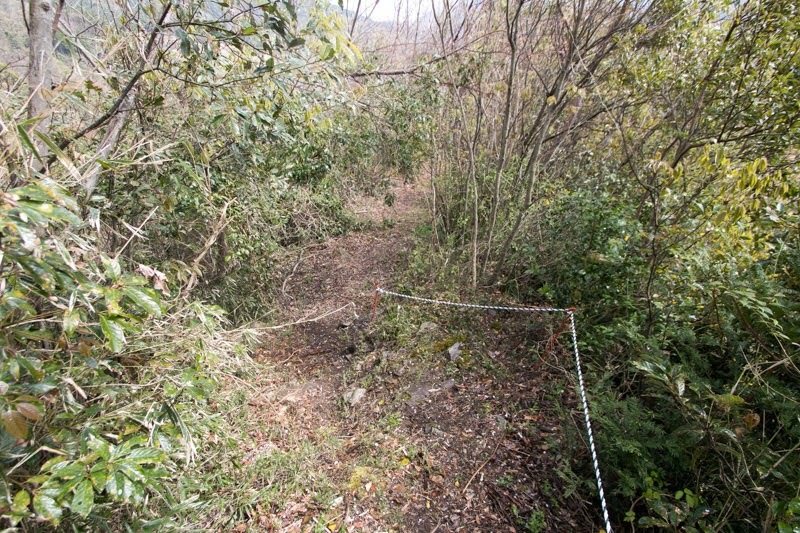 Secondary area is a rectangular one of 50 meter long and 15 meter wide, which has a folded gate at its southeastern corner. 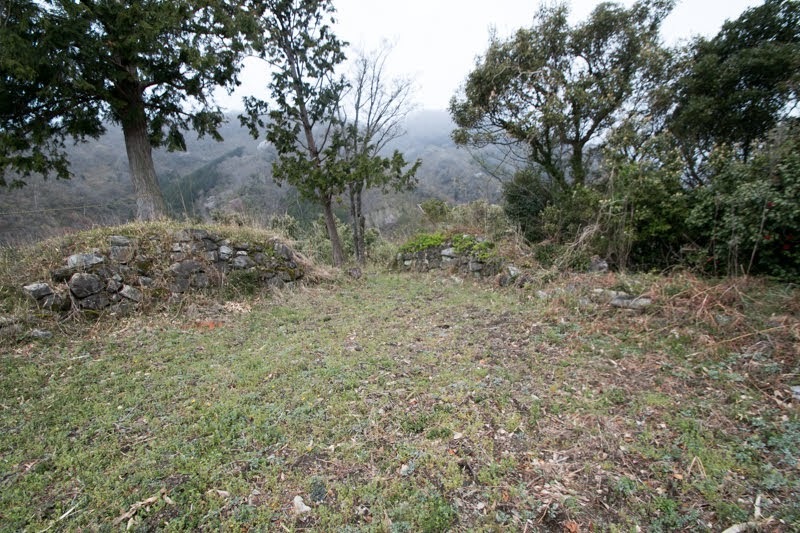 Third area might be a commanding and watching place of this castle, which has a basement of turret with low height stone wall. 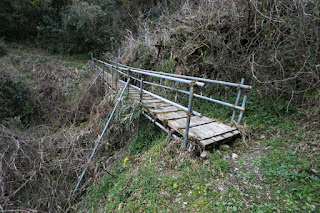 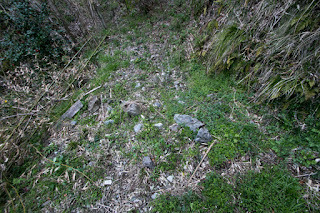 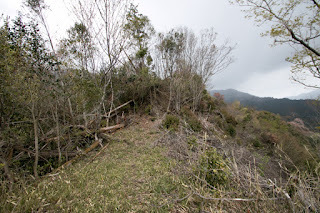 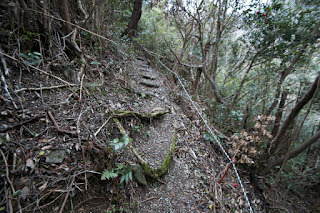 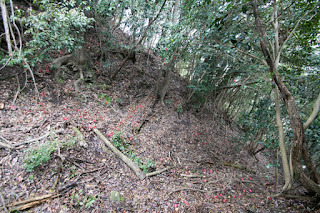 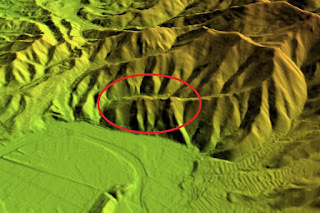 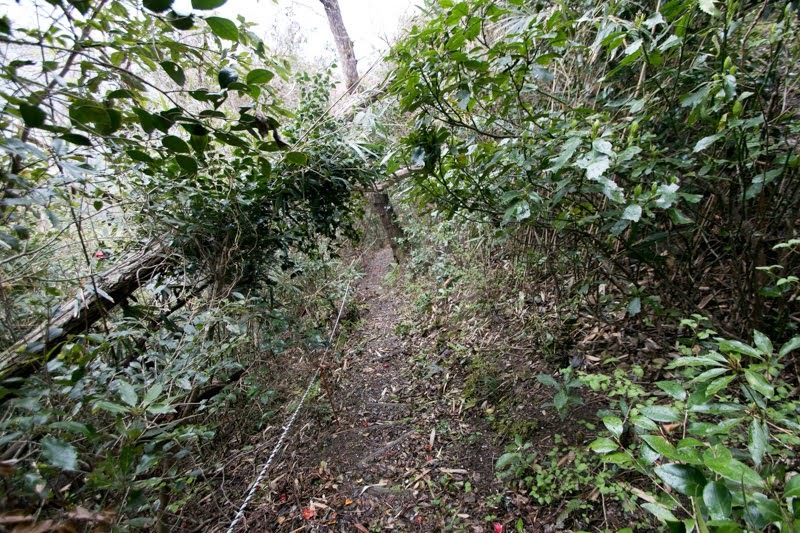 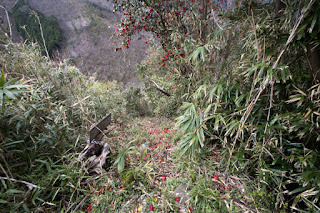 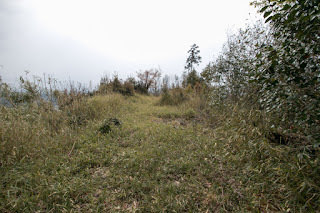 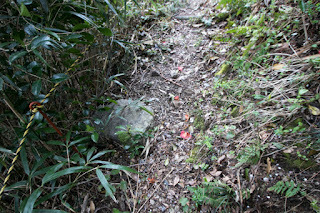 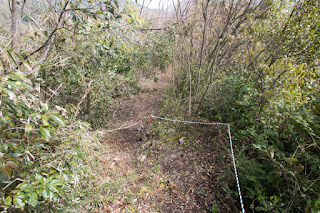 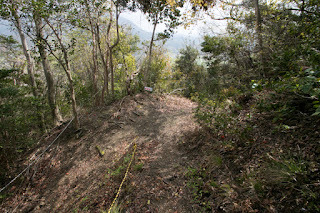 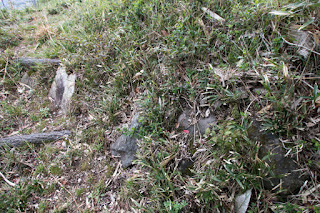 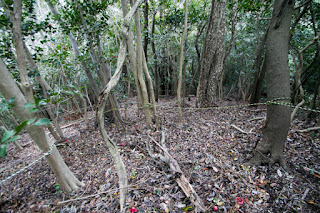 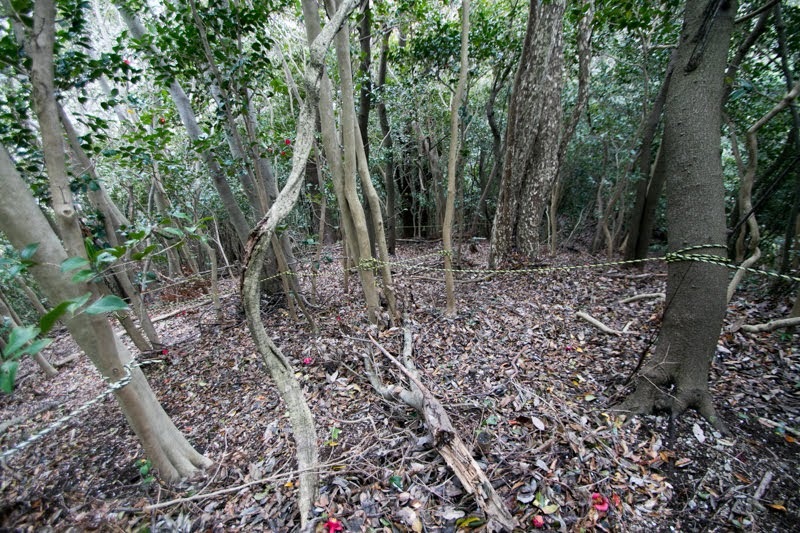 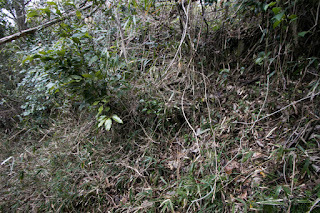 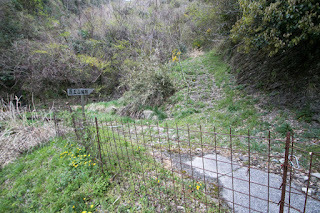 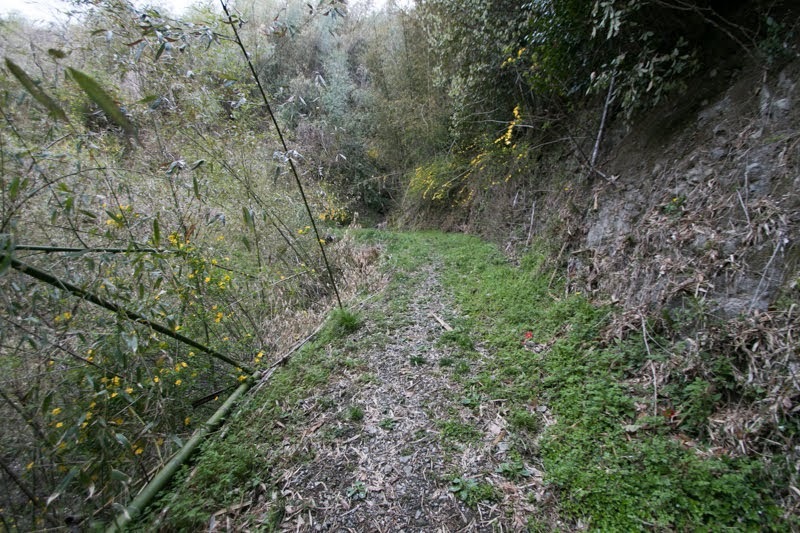 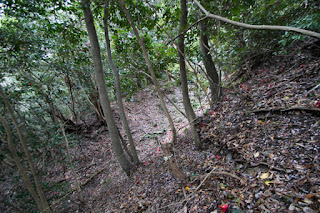 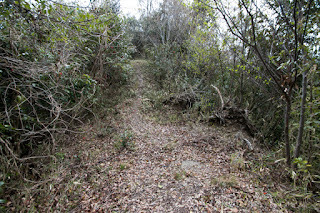 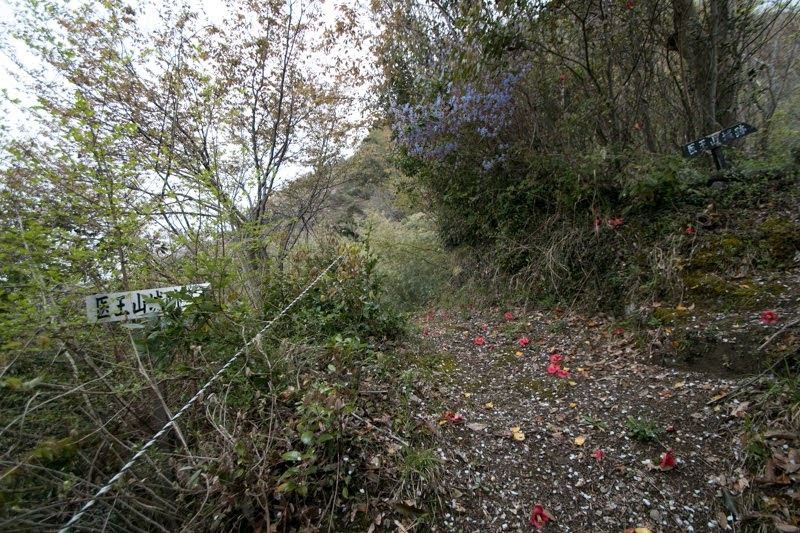 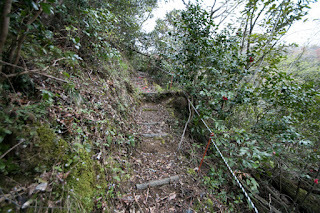 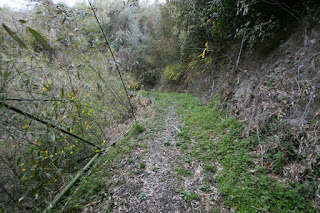 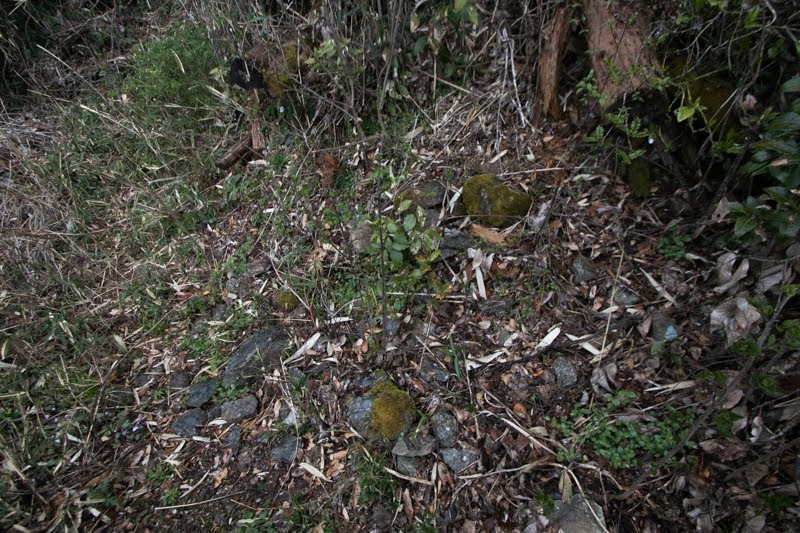 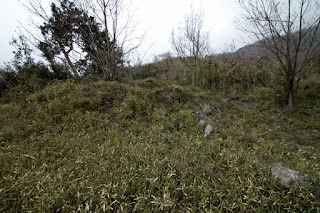 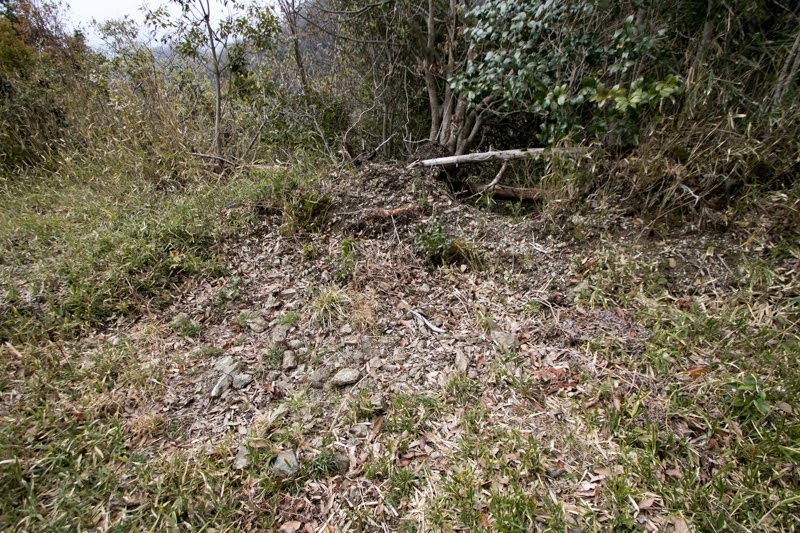 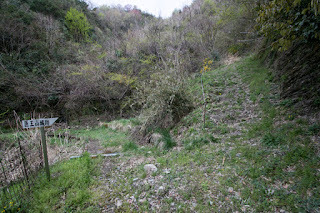 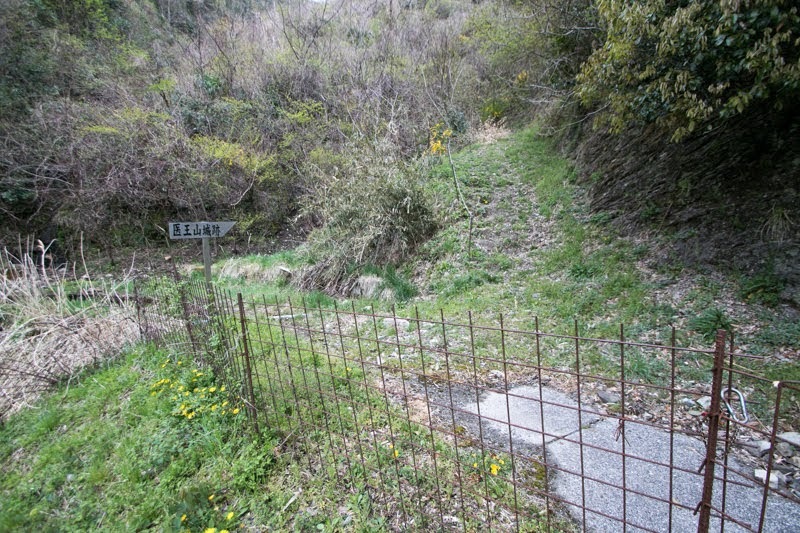 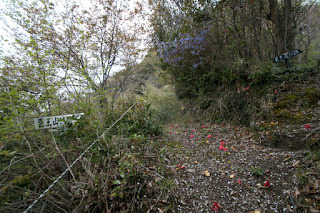 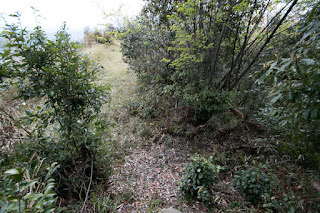 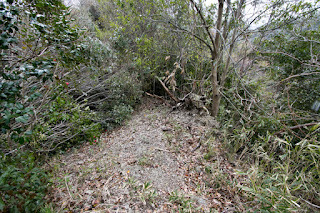 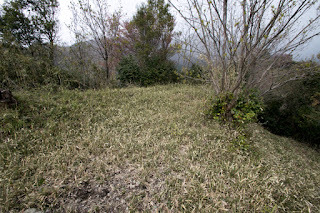 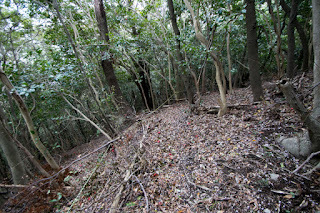 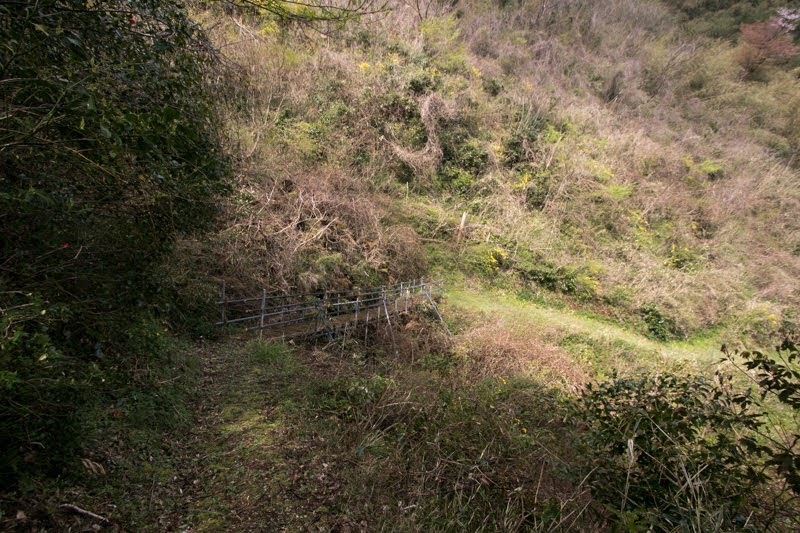 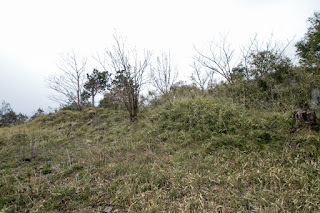 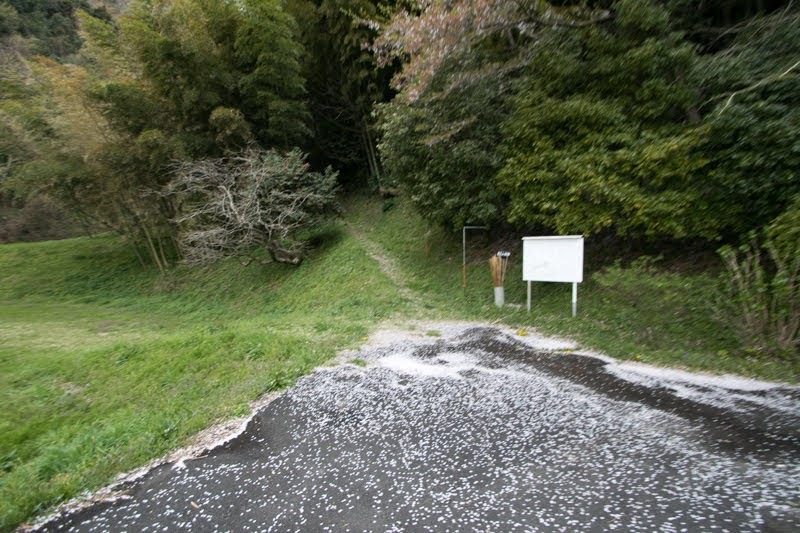 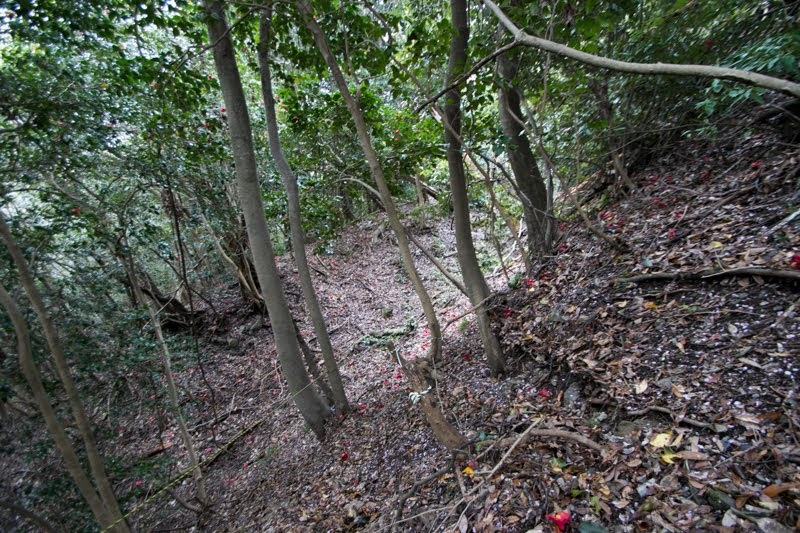 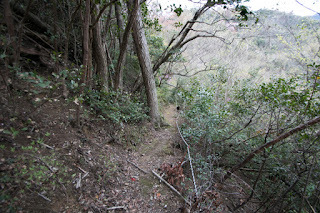 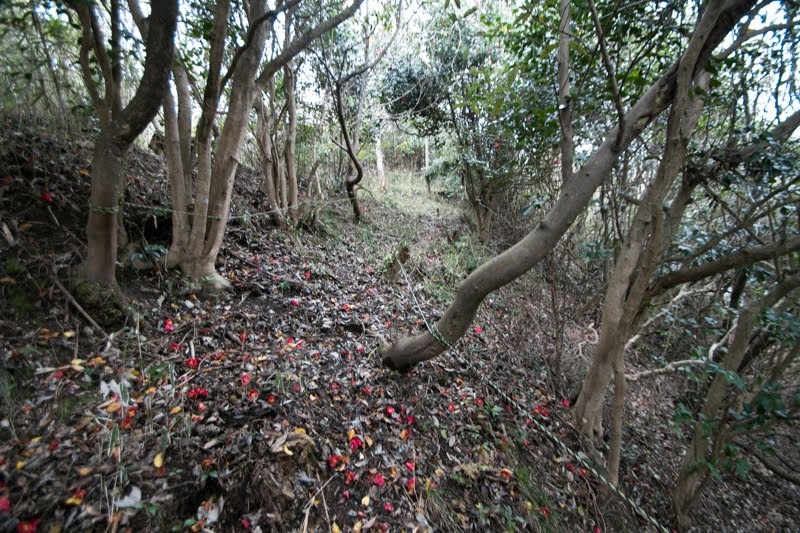 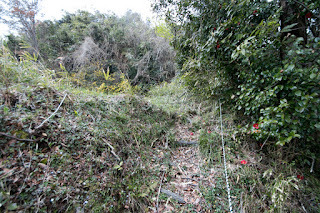 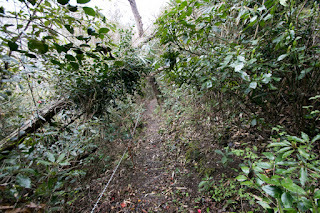 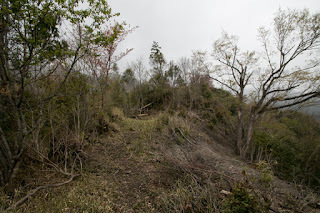 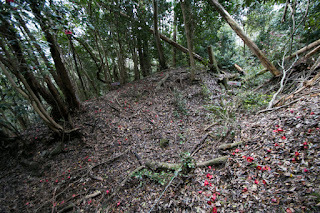 At the north of central area, complex of dry moats is made as this is a weak point of the castle connecting to backside higher mountains. 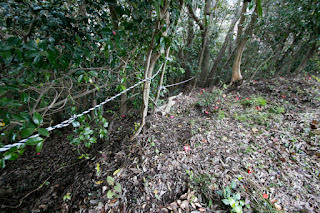 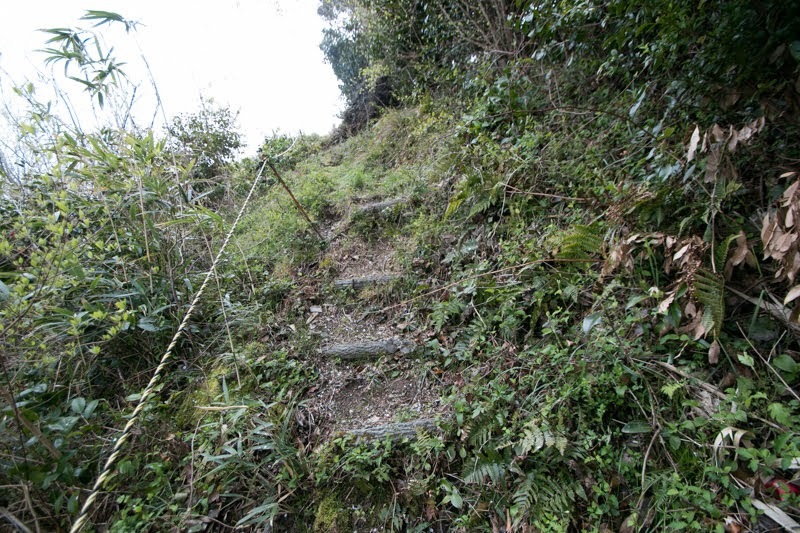 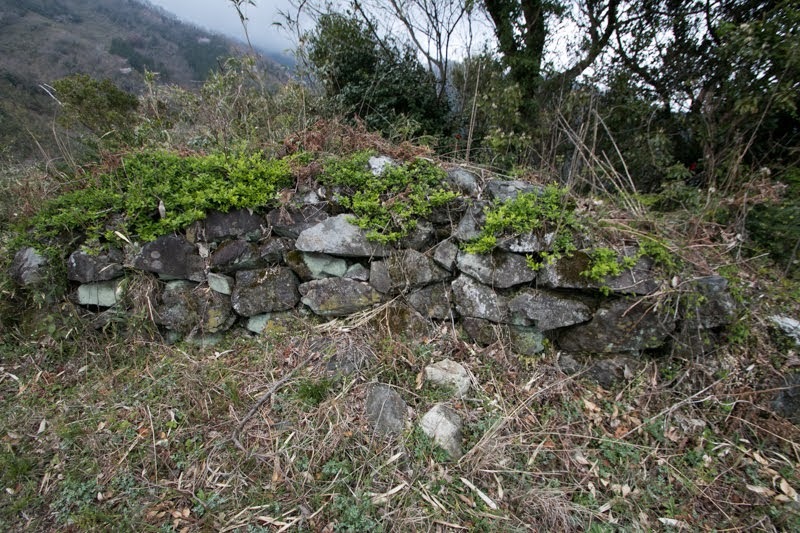 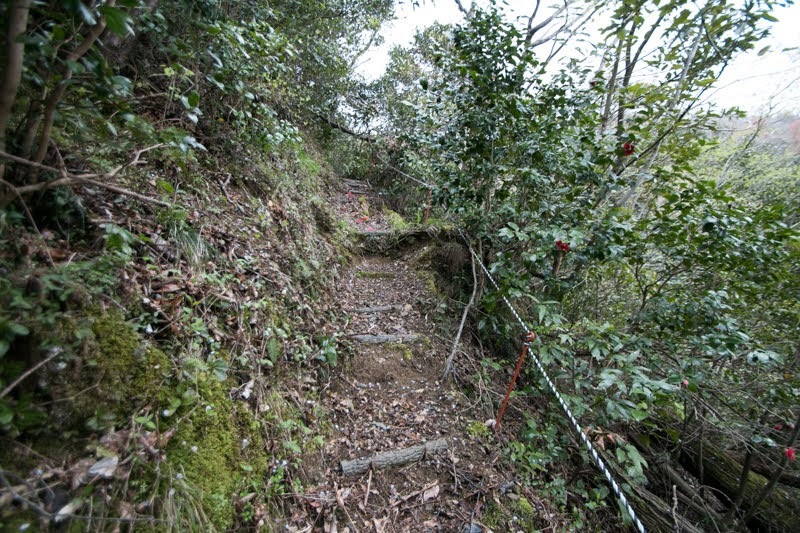 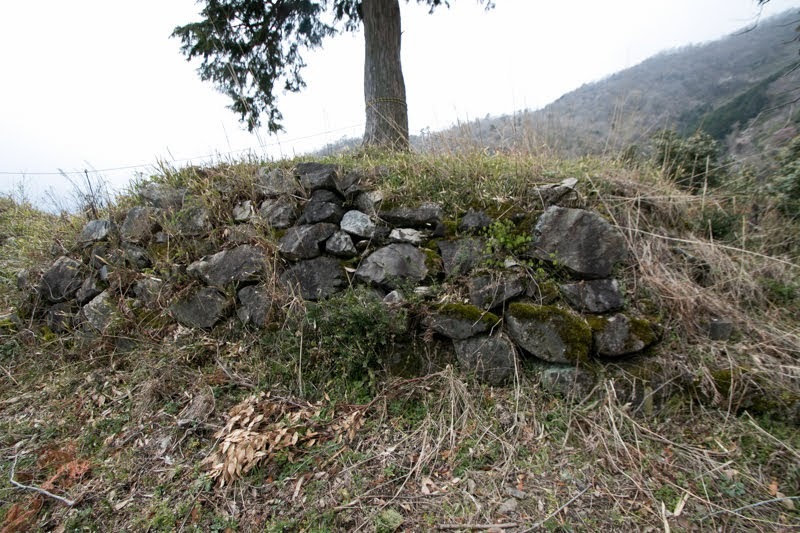 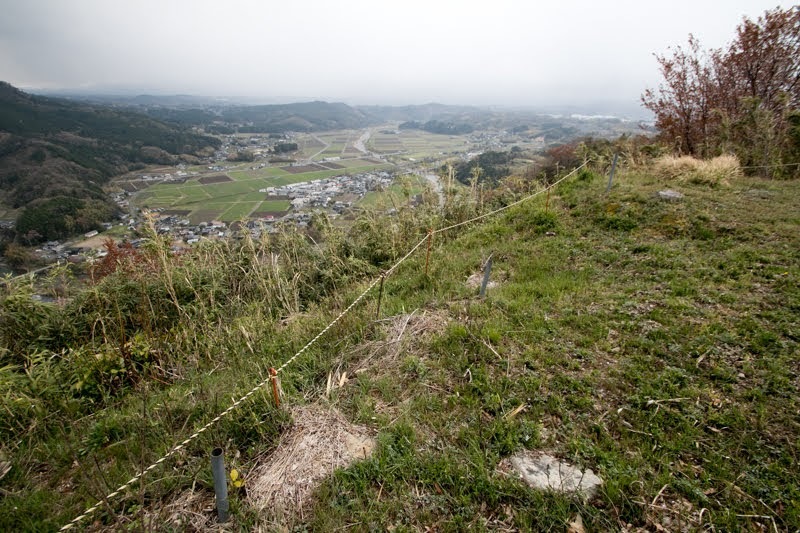 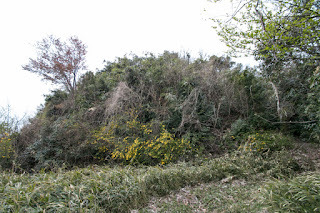 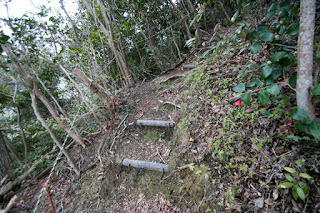 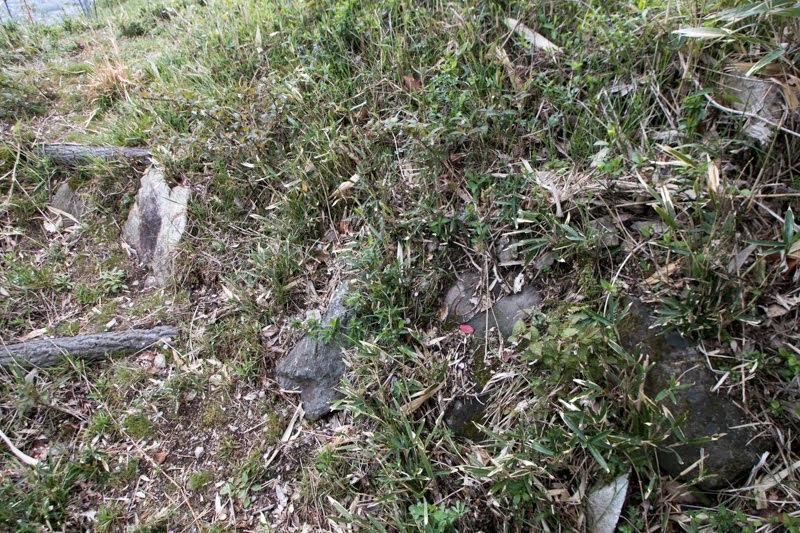 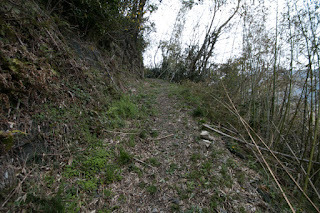 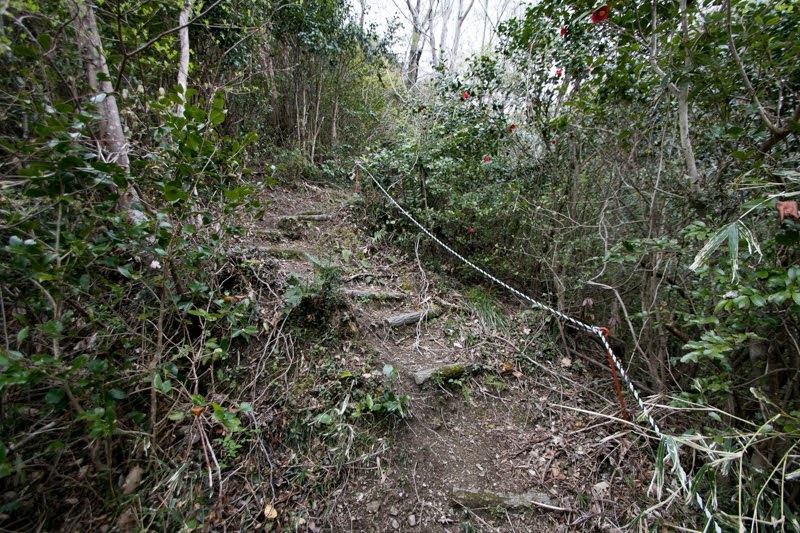 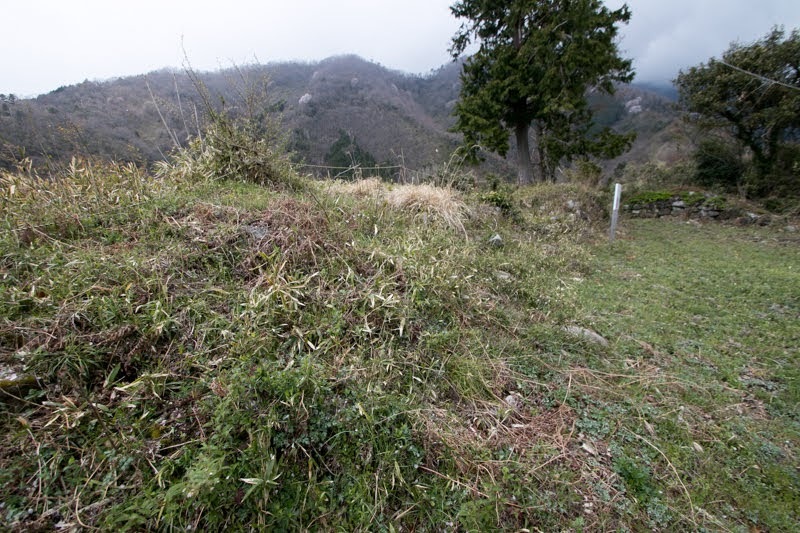 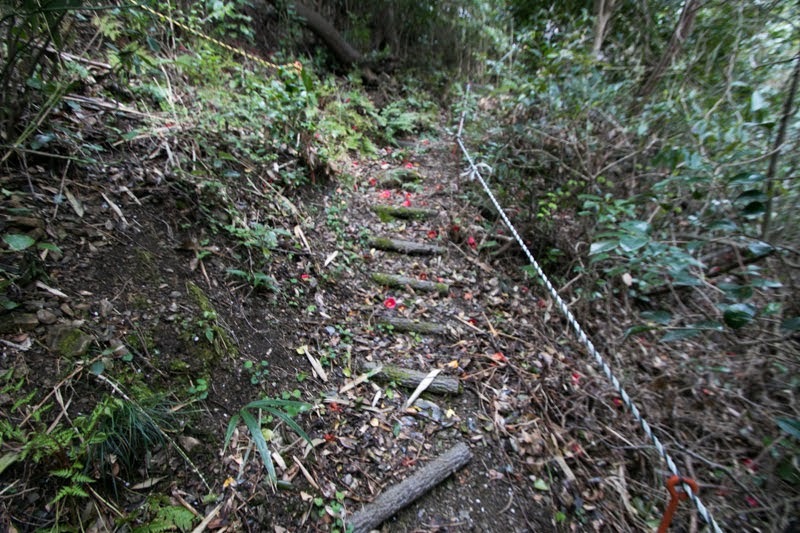 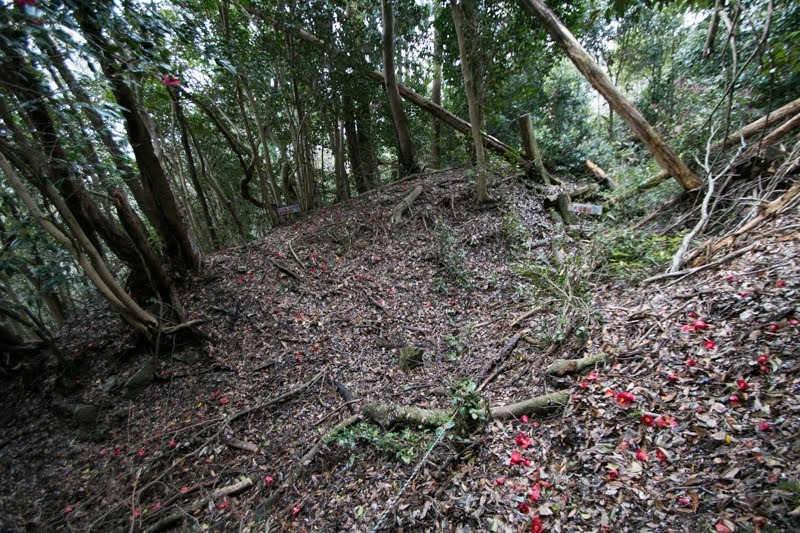 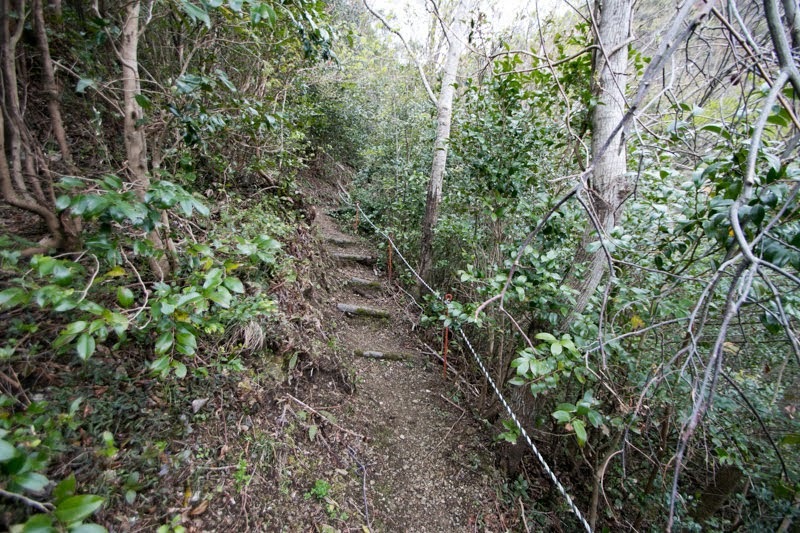 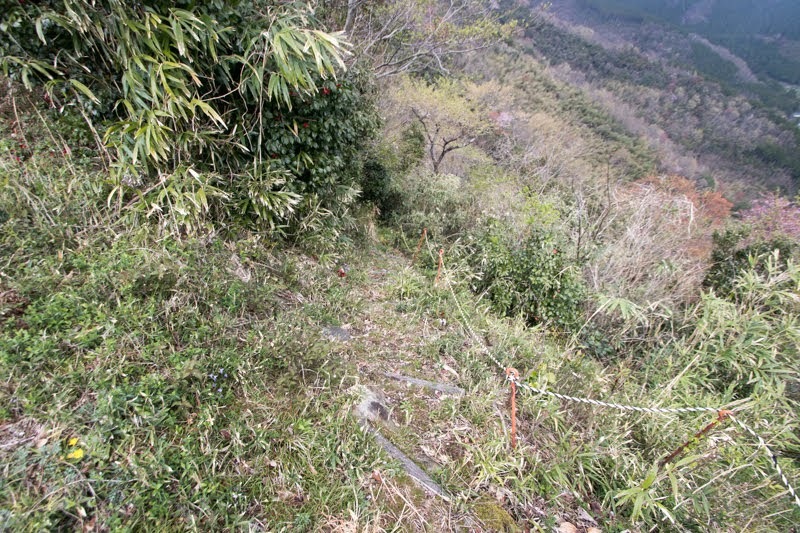 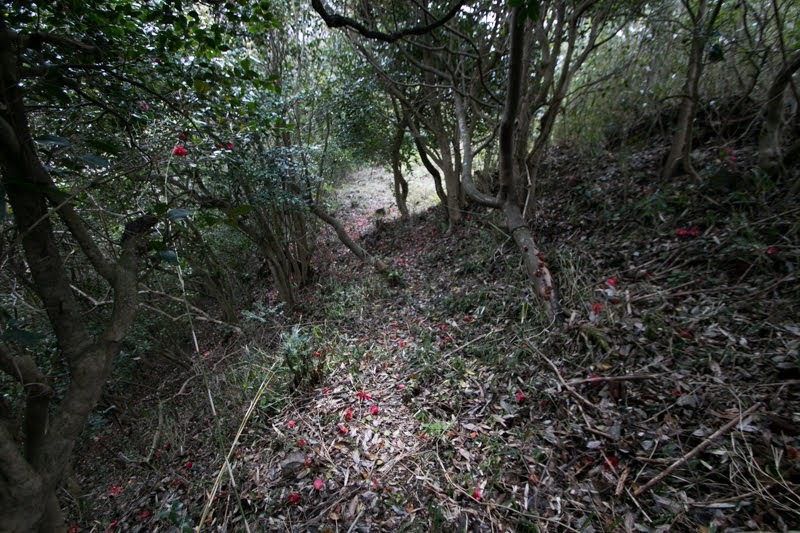 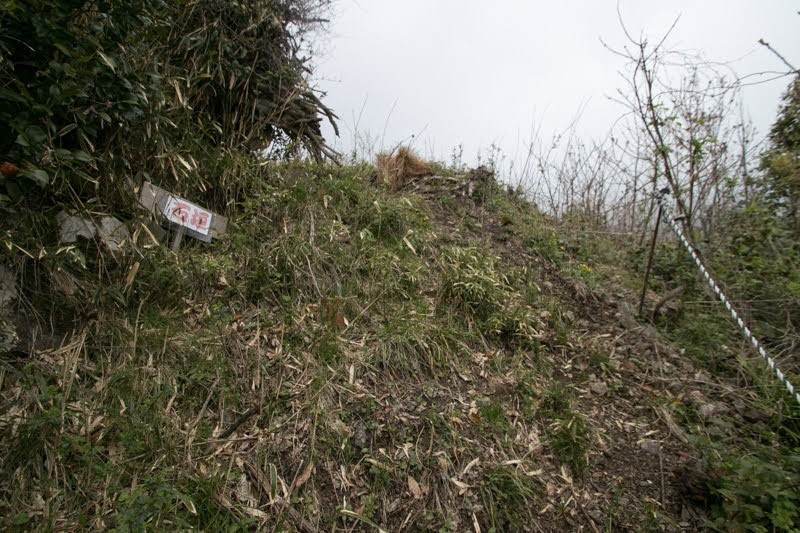 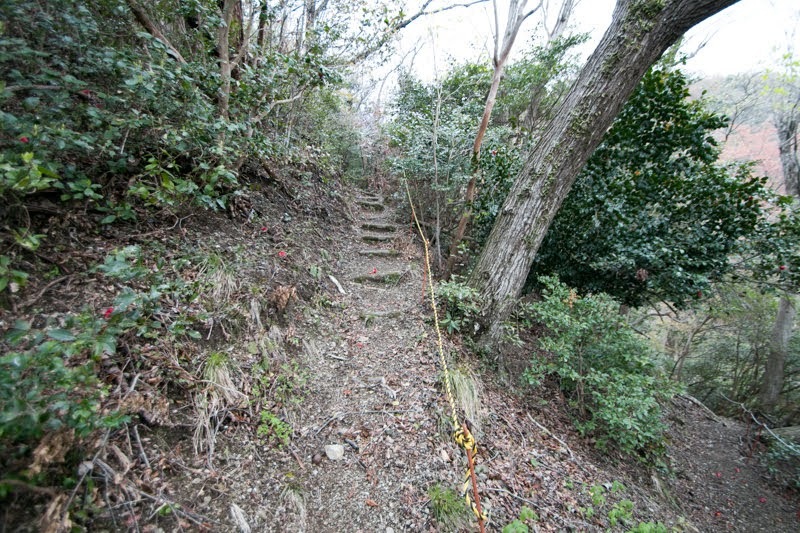 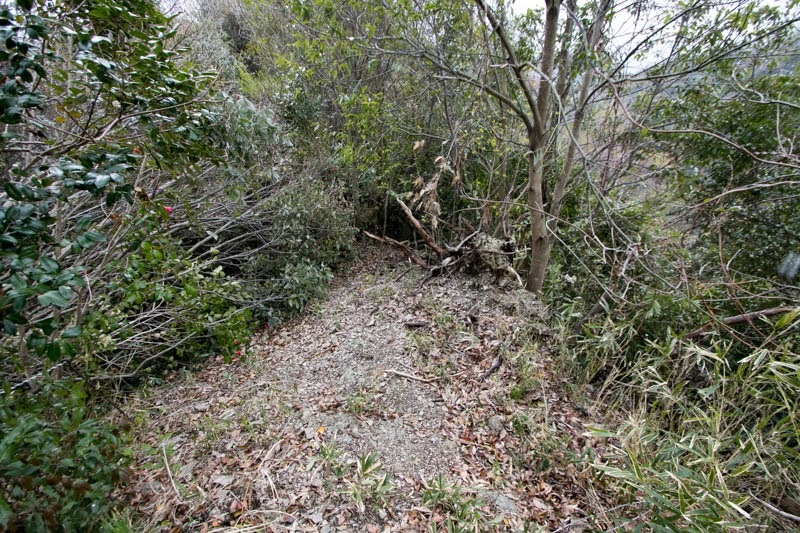 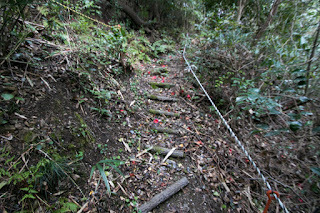 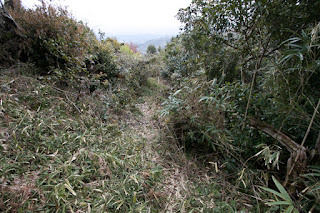 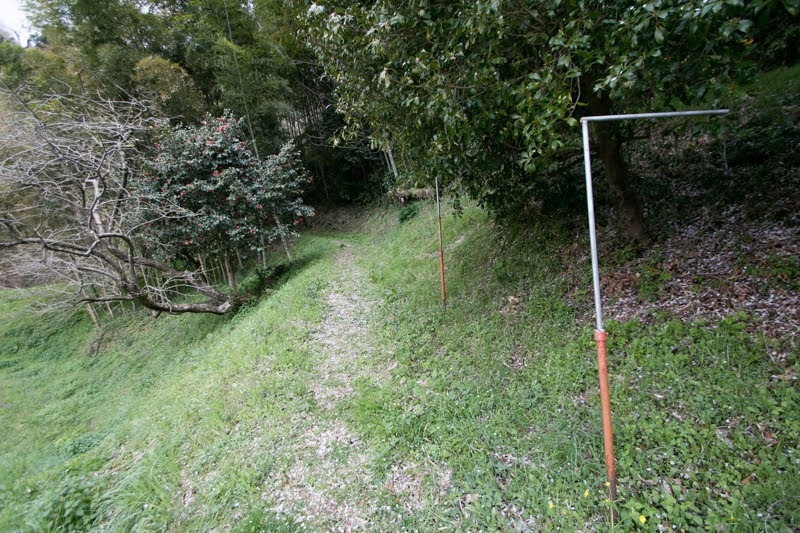 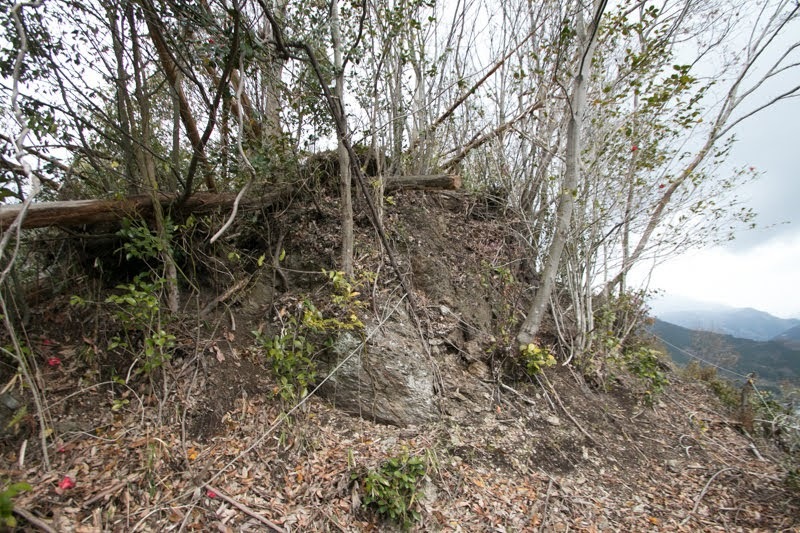 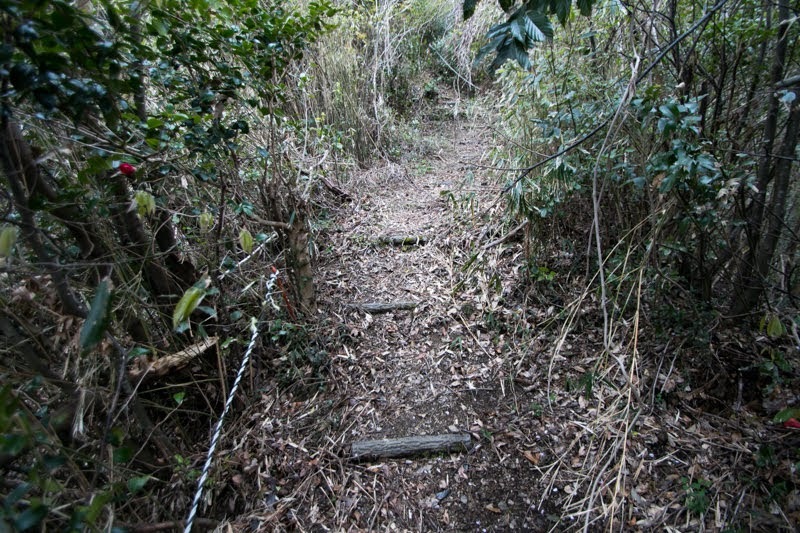 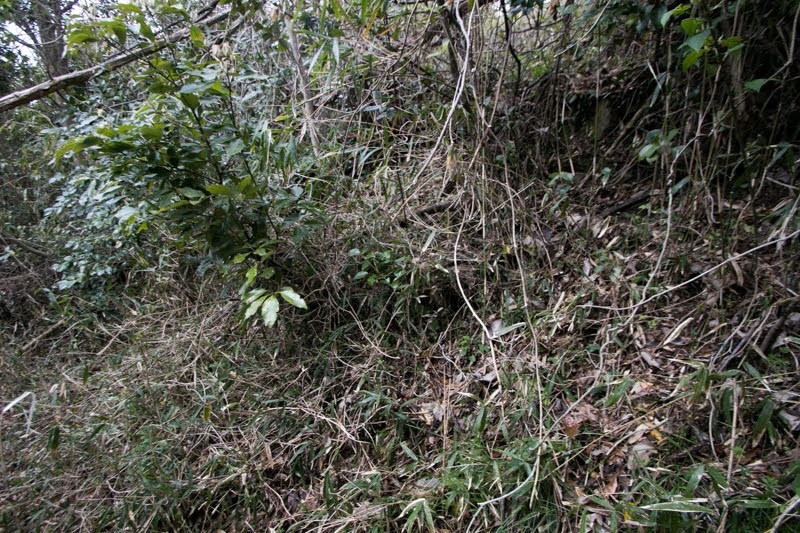 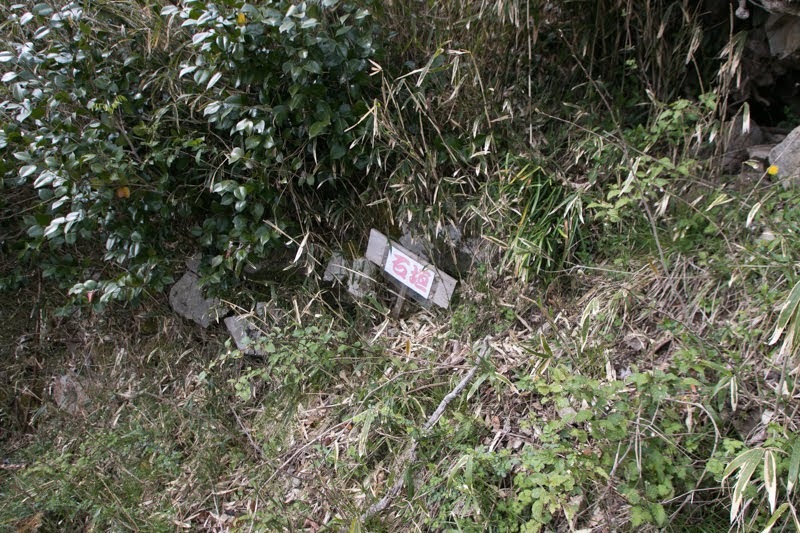 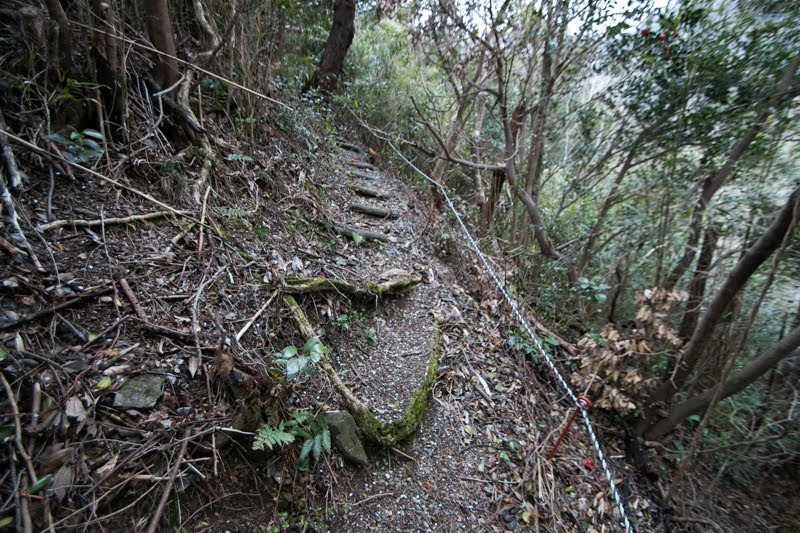 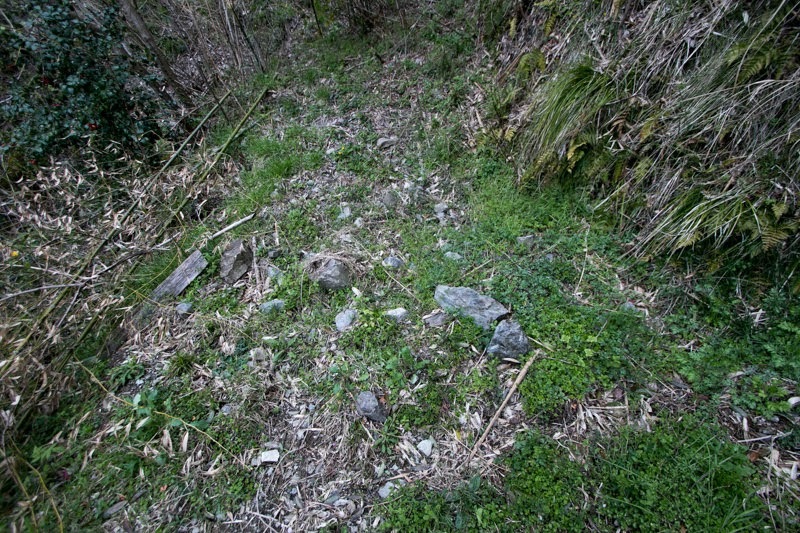 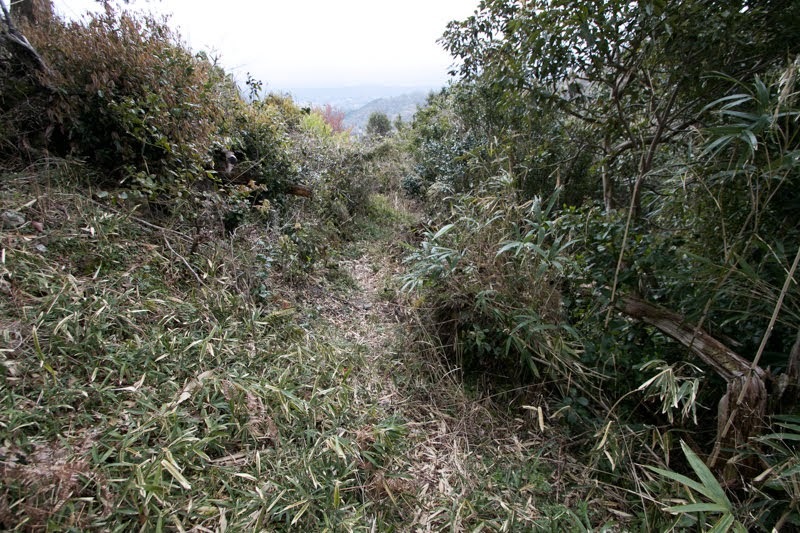 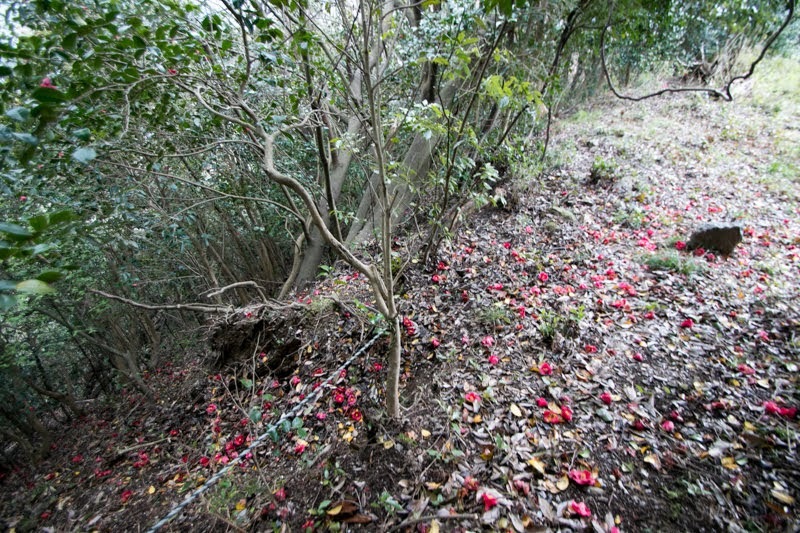 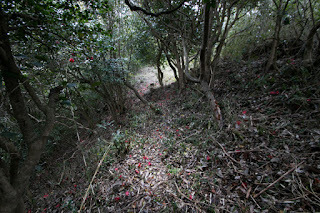 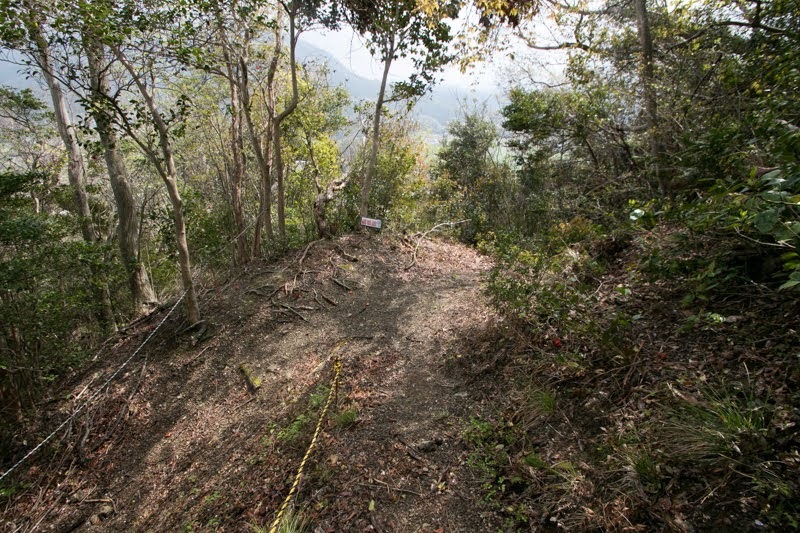 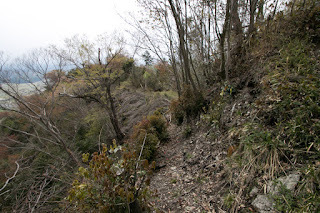 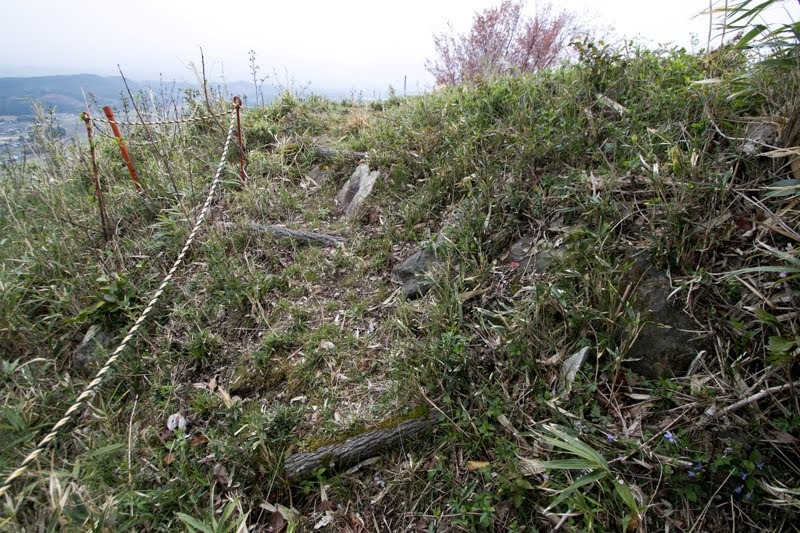 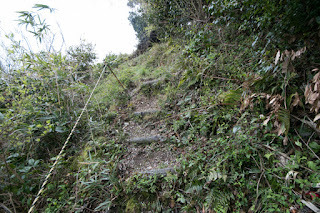 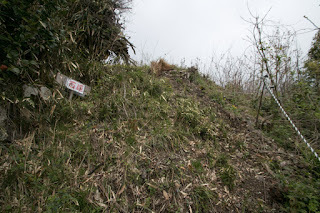 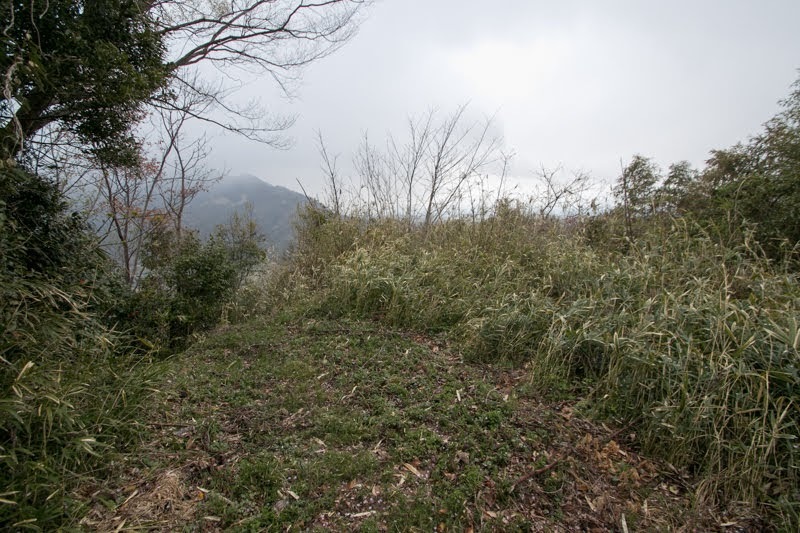 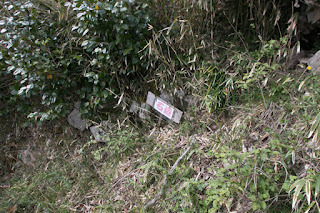 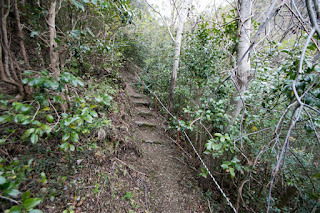 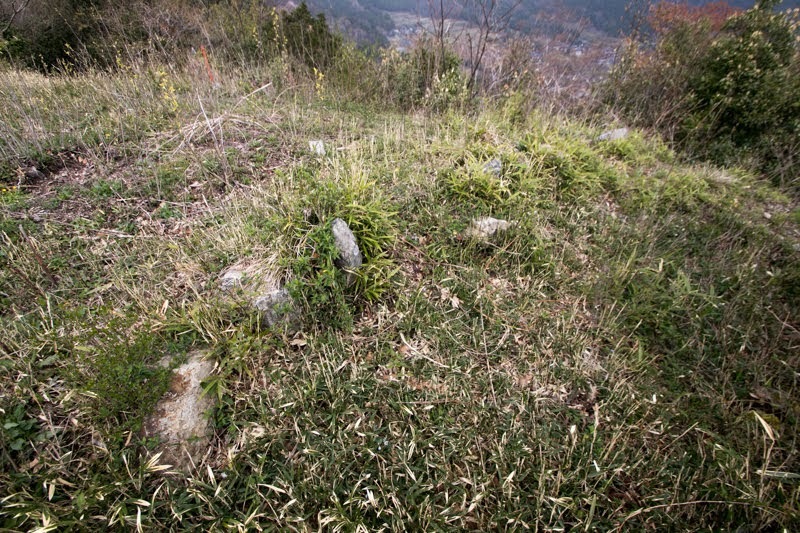 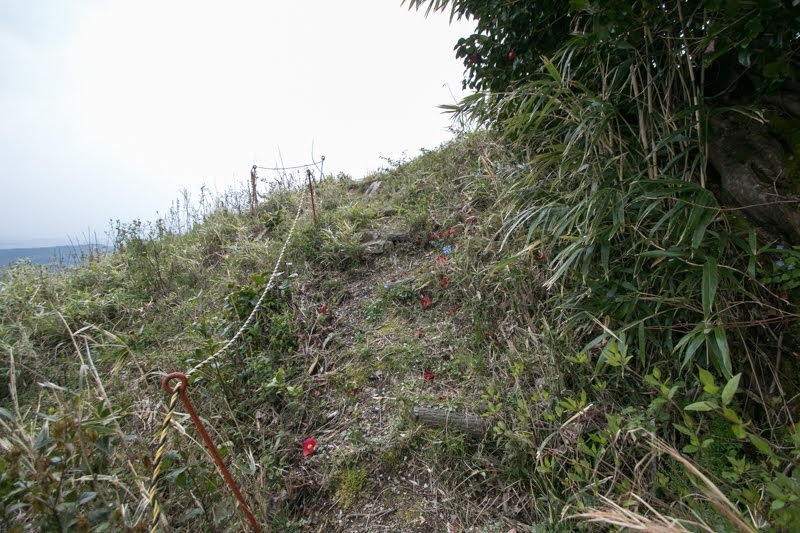 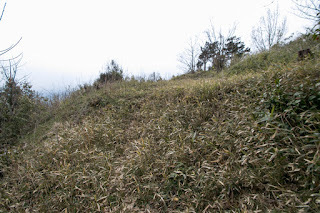 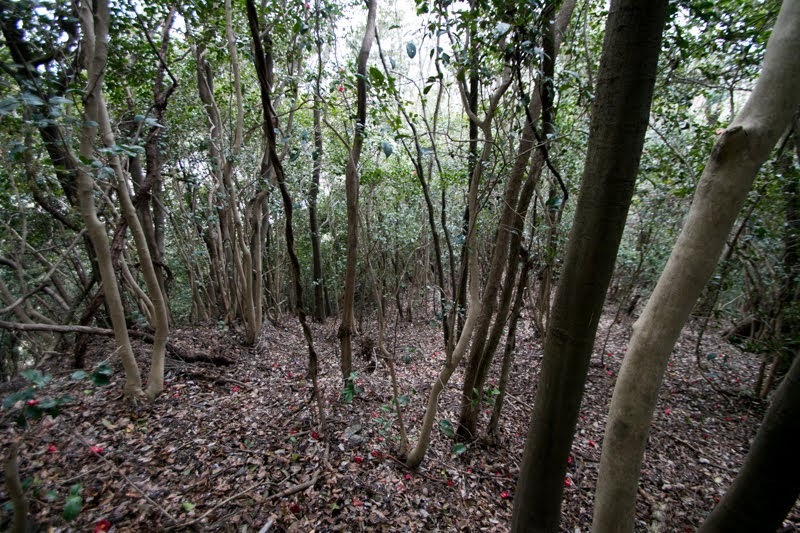 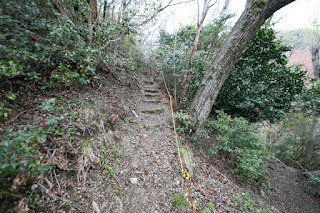 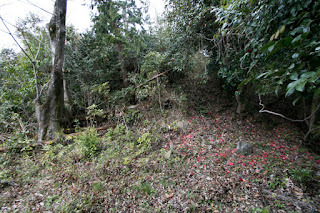 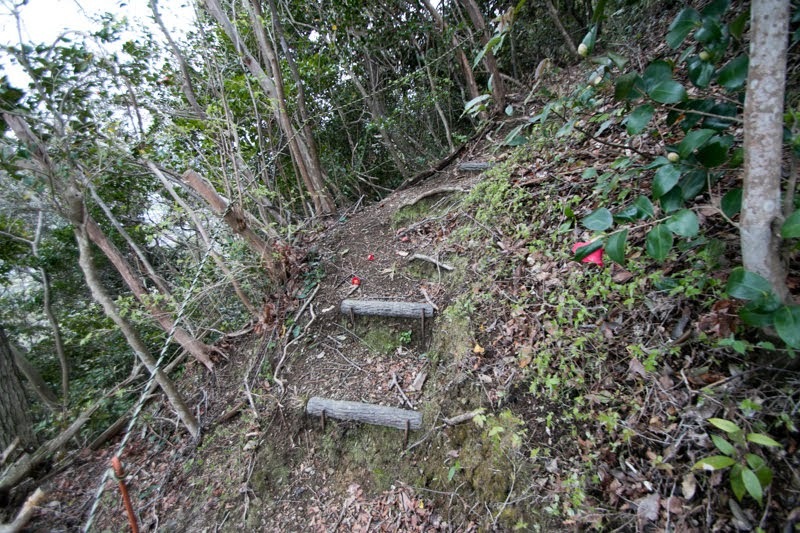 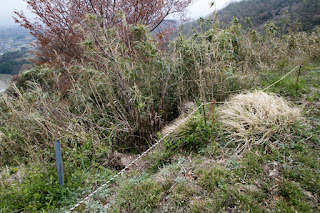 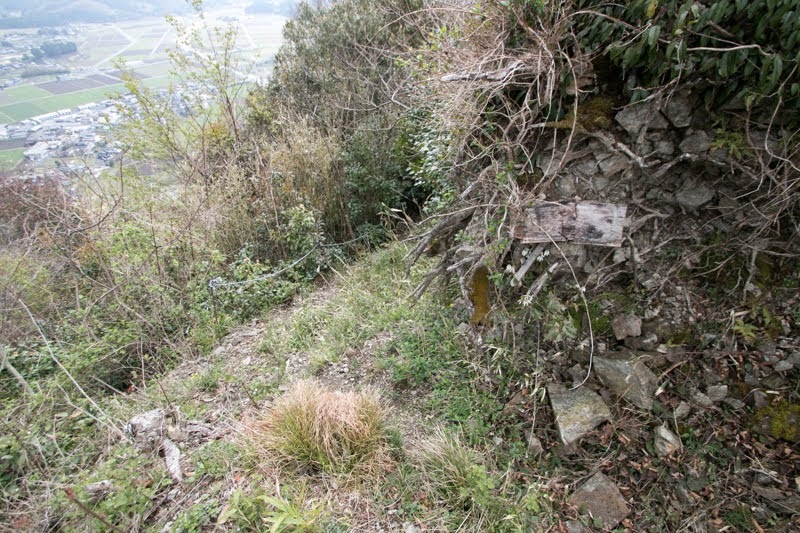 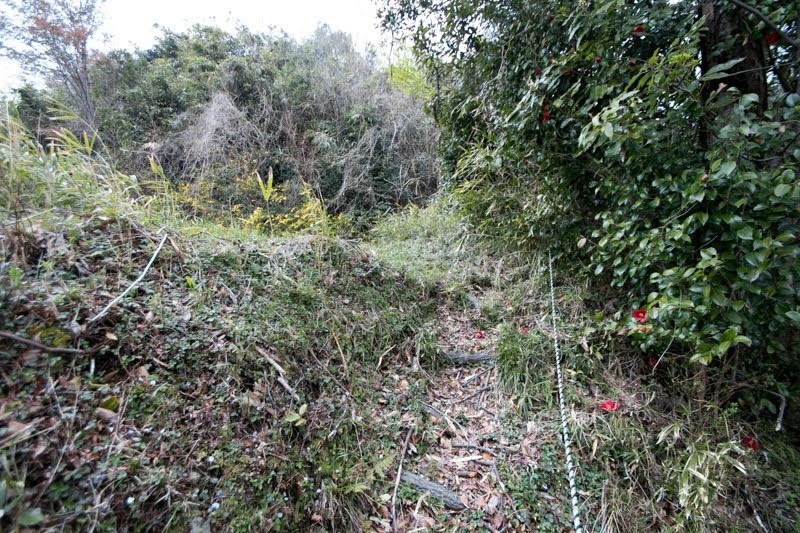 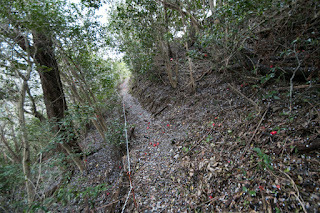 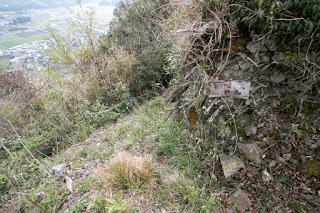 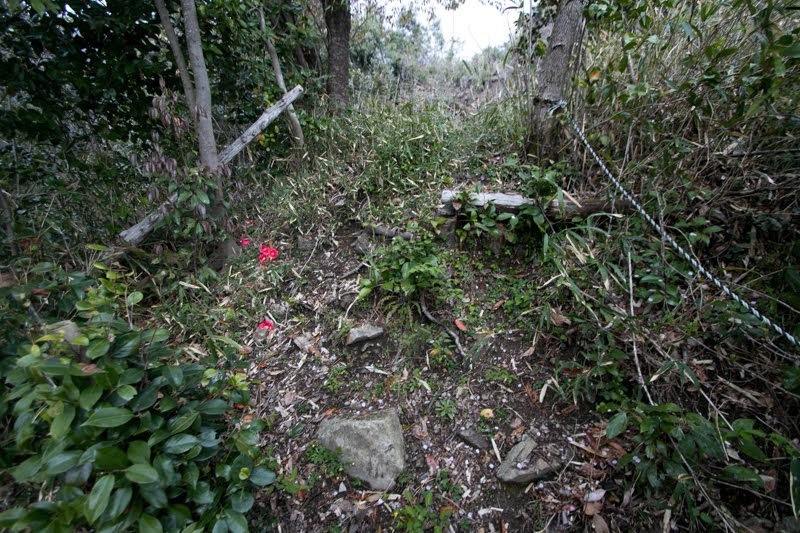 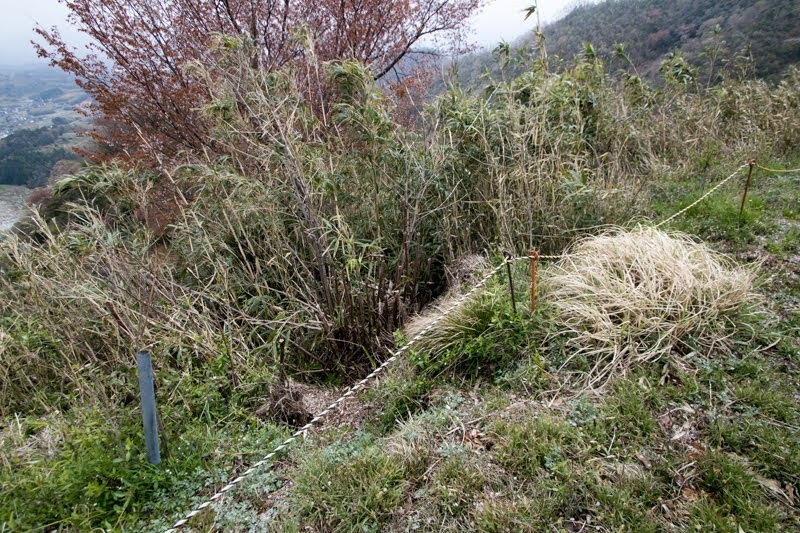 Slope of third area is protected by combination of vertical walls, frequently seen in the castles under Mouri clan. Total length of Iouyama castle over 300 meter, and its size and structure are supreme among neighbor castles. 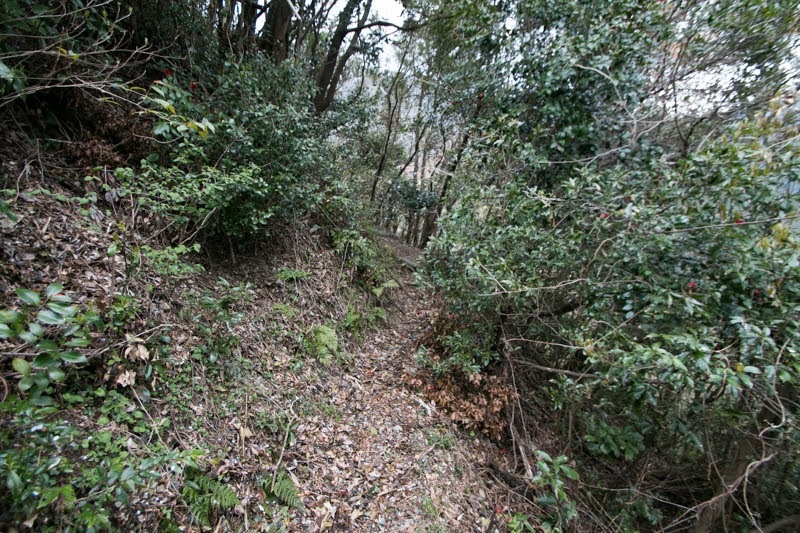 As Iouyama castle became a projection point of Mouri clan, Ukita clan tried to capture Iouyama castle by every effort in 1579. 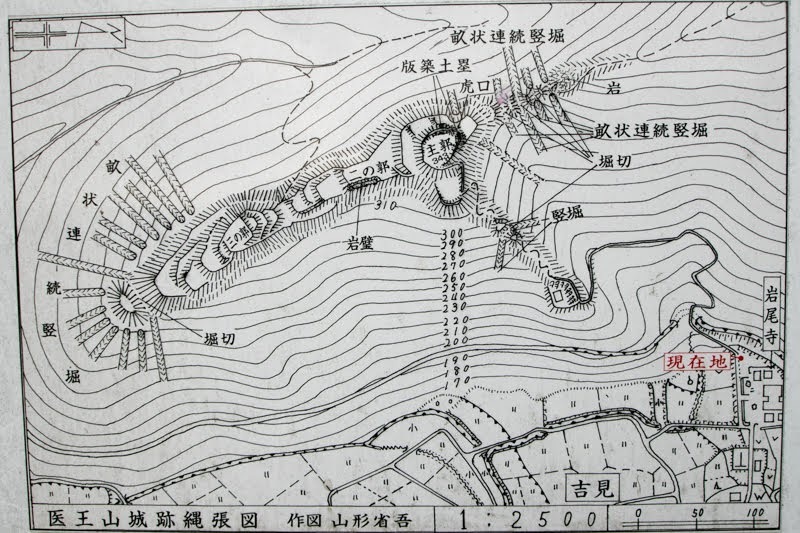 Ukita clan built forts surrounding Iouyama castle, and suppressed Iouyama castle by both of power and supply. 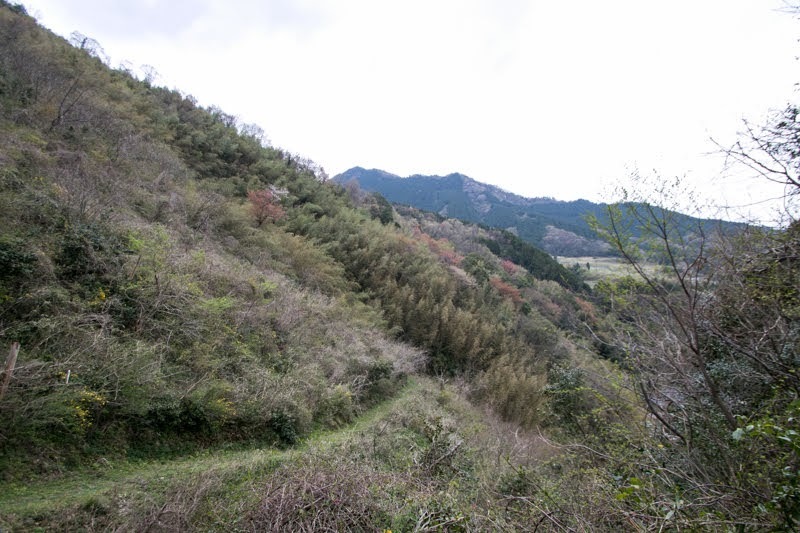 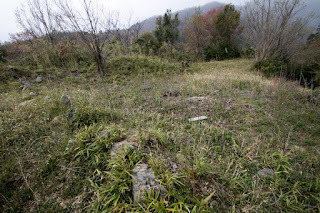 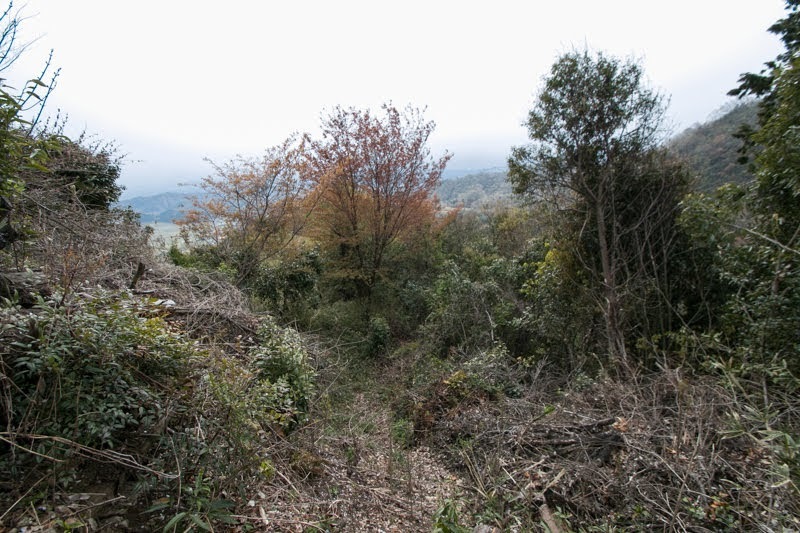 But Mouri clan which kept large part of Mimasaka province could bring supplies to Iouyama castle from backside mountains, and also contained main part of Ukita army at Bizen province. In 1579 and 1580 Mouri clan and Hideyoshi made even battles at many places of Chugoku region, but Hideyoshi ruined Bessho clan which rebelled at the backside of front then could concentrate his army against Mouri clan. 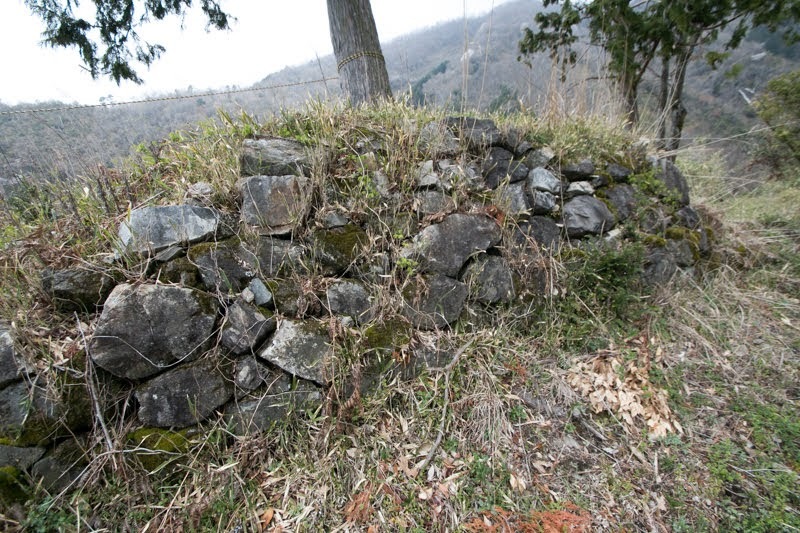 On the other hand, Mouri clan lost their ally Bessho clan and Araki clan, and was separated from their ally Ishiyama Honganji temple. Under worsening situation part of defense side soldiers turned to Ukita army and once captured outer part of the castle, but the commander well protected the castle. 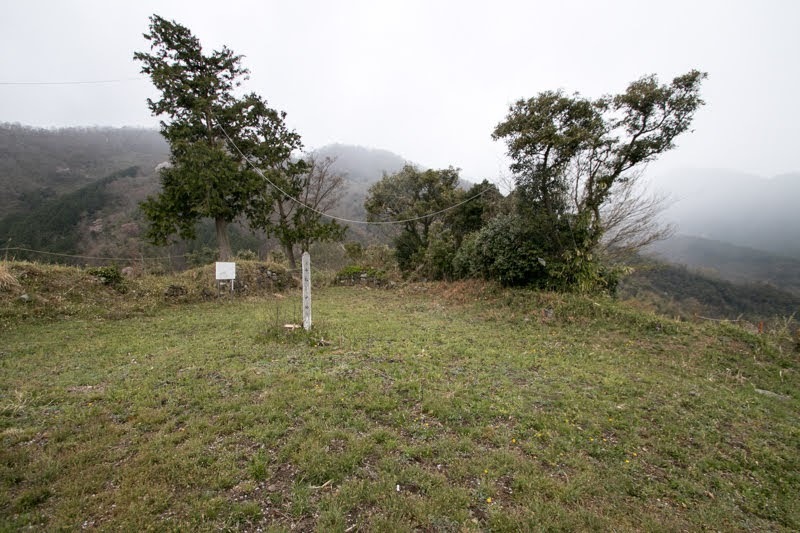 Finally Iouyama castle opened to Ukita army in 1581, after two year siege. 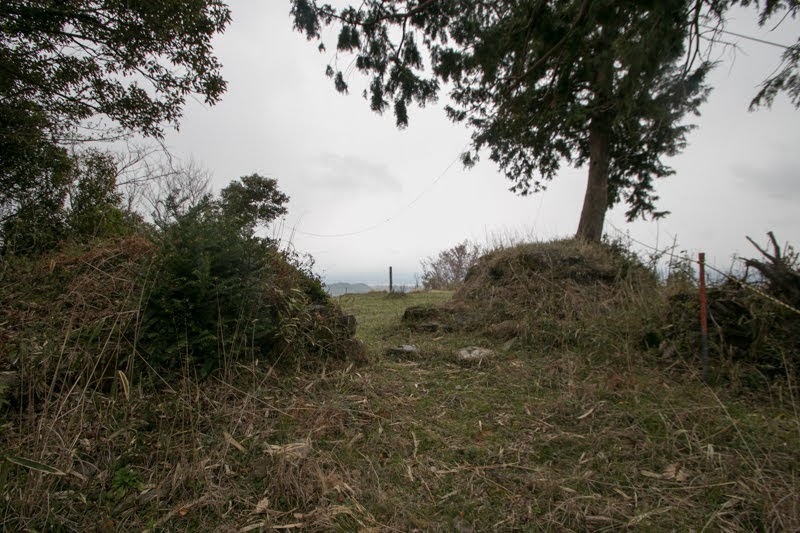 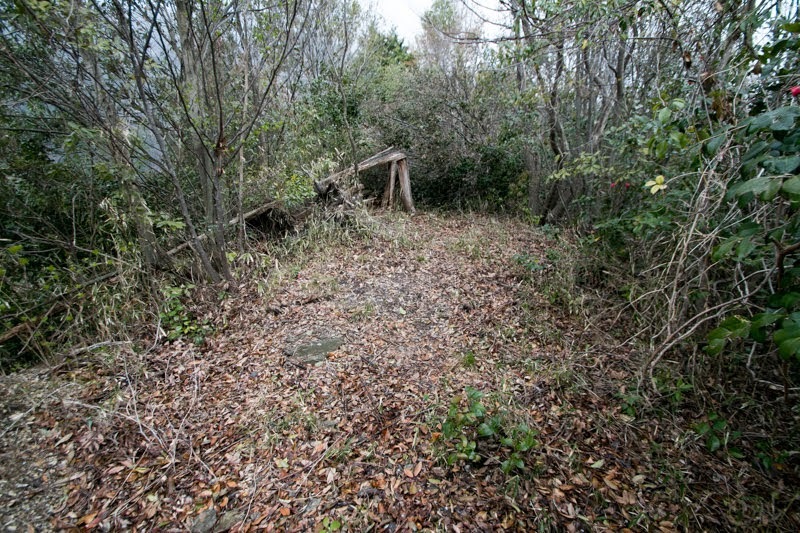 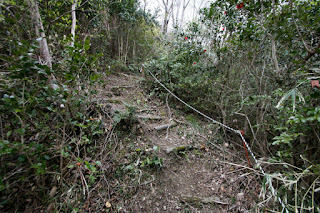 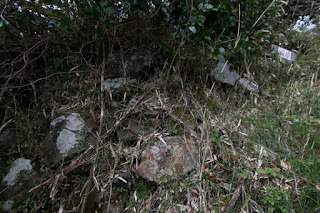 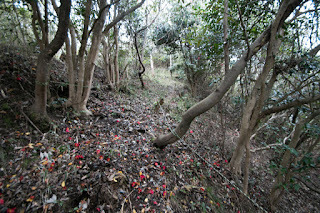 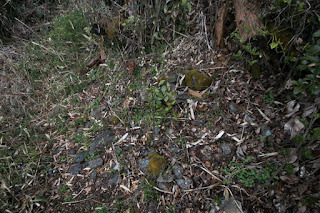 Under Ukita clan Iouyama castle might be used as a major branch castle, and stone wall of the castle might be built under Ukita clan. 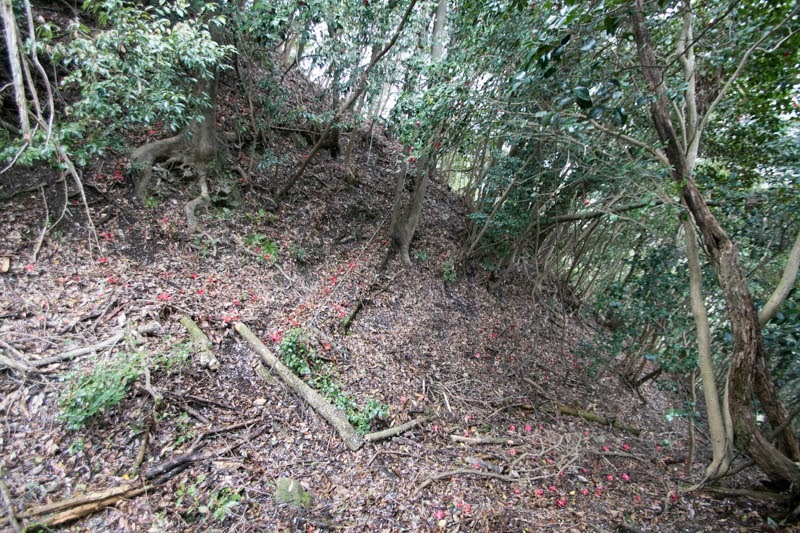 Ukita clan held Iouyama castle nearly 20 years until its exile after the battle of Sekigahara in 1600, and Kobayakawa clan held Mimasaka province after Ukita clan also used Iouyama castle as a major branch castle. 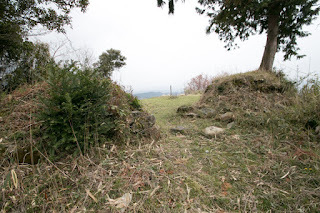 But after the break of Kobayakawa clan in 1603, Mori clan which became the lord of Mimasaka province built Tsuyama castle (Okayama prefecture) as their main base and abolished other castles including Iouyama castle. 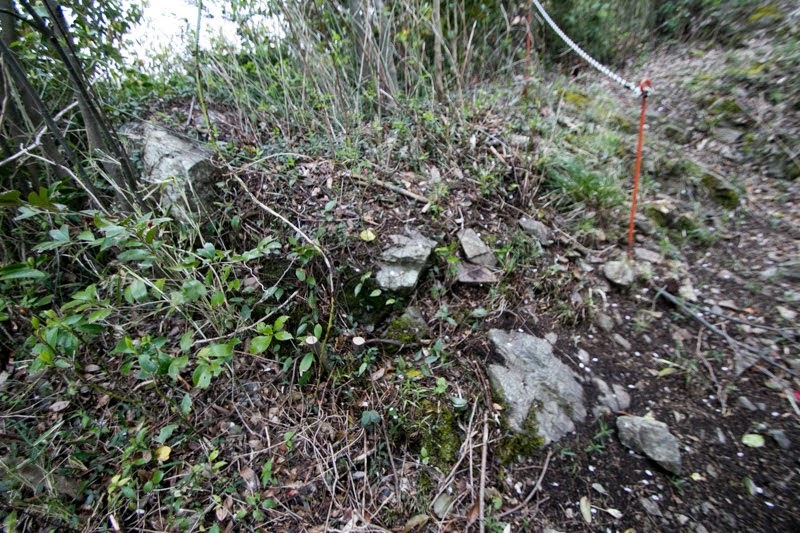 Today no building was left but structure of the castle including low height stone walls well remain on the ridge. 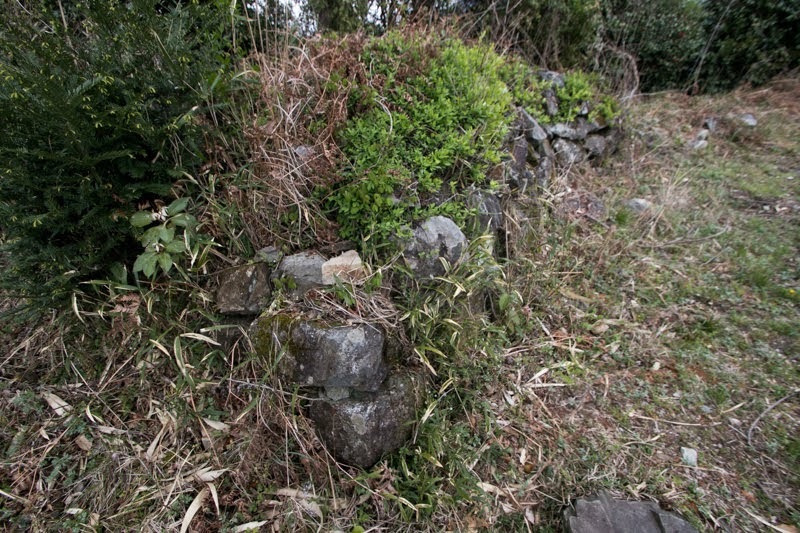 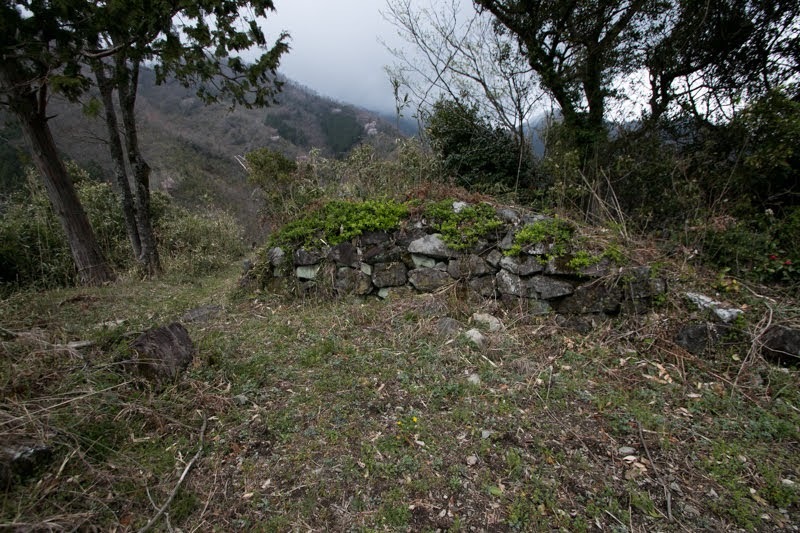 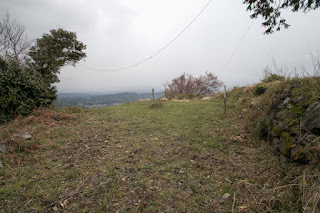 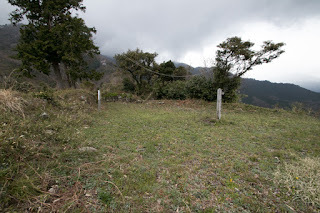 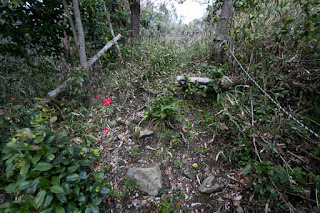 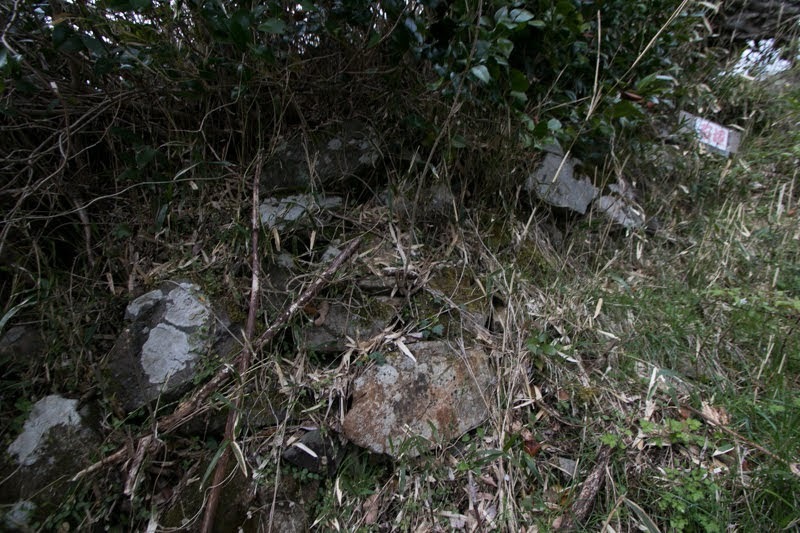 Slightly remaining stone walls shows the importance of Iouyama castle as a one guarding northeastern border. 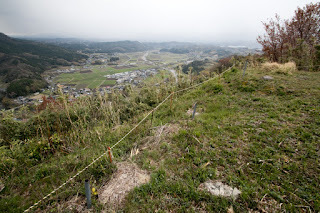 Now being located in peaceful village, but tight slope to climb the castle ad wide perspective from the castle shows it was surely an important strategic point along with remaining stone walls. 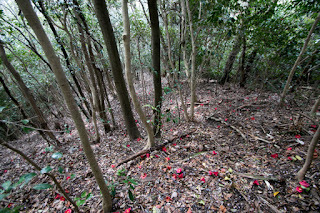 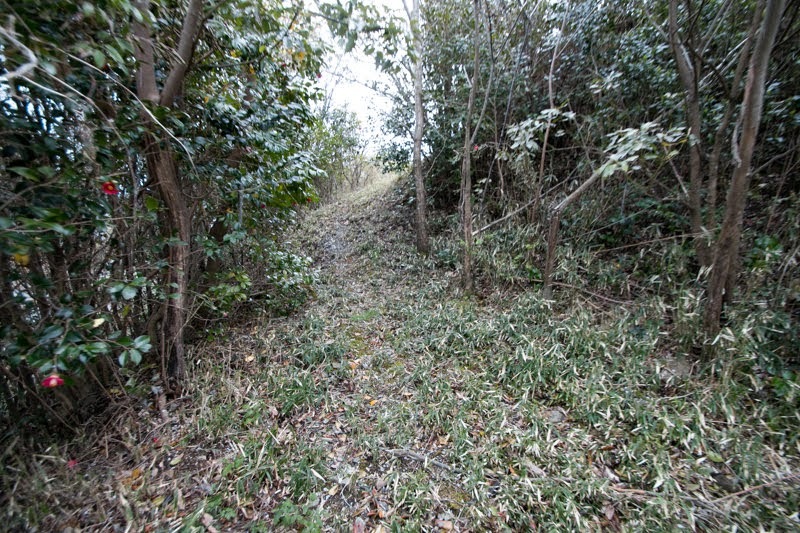 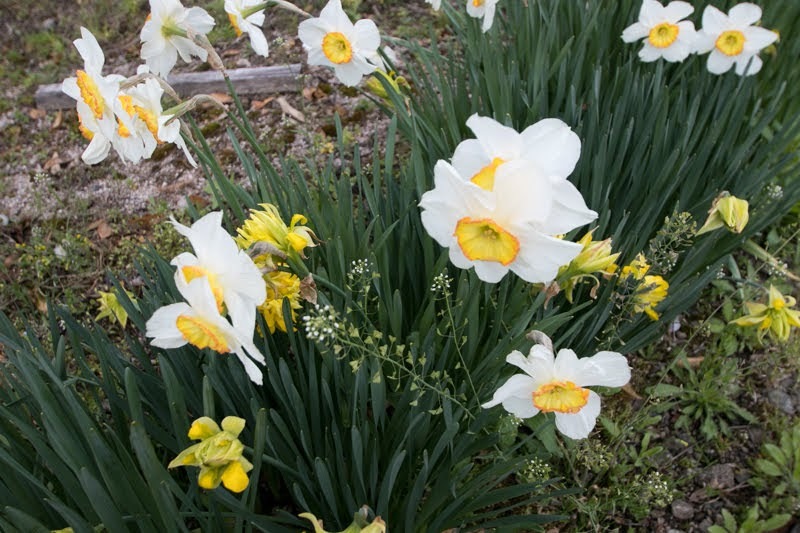 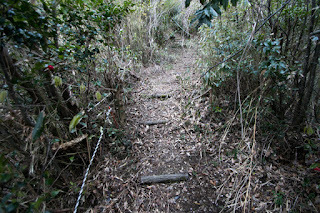 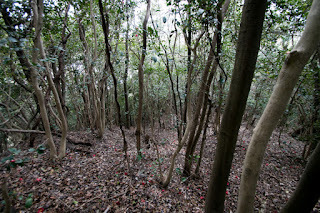 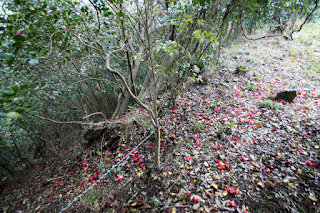 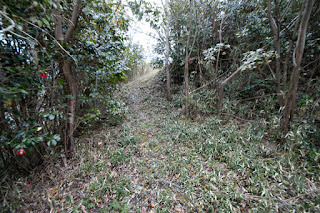 30 minutes walk from JR West Inbi-sen line Mimasaka-Takio station. 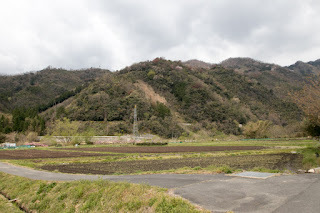 30 minutes drive from Chugoku Jidoshado Expressway Tsuyama interchange.